” Obesity is now a leading preventable cause of cancer , but less than half of all Australians are aware of the link . A new campaign launched today by Cancer Council Victoria is aiming to change this. 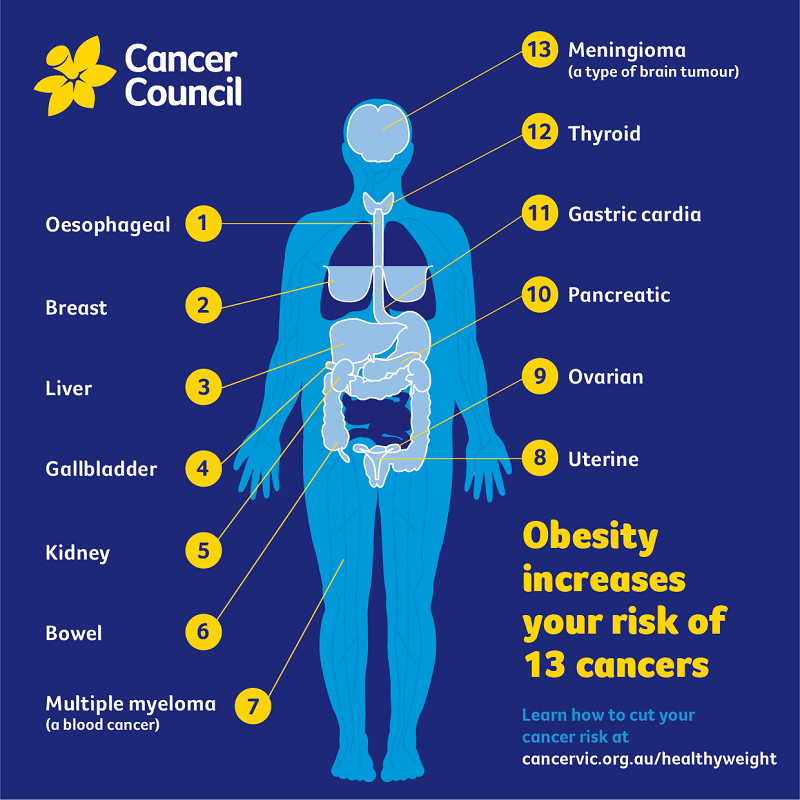 Cancer Council Victoria CEO, Todd Harper, acknowledged that the campaign’s portrayal of toxic fat could be confronting but said so was the fact that nearly two-thirds of Australians were overweight or obese 4. 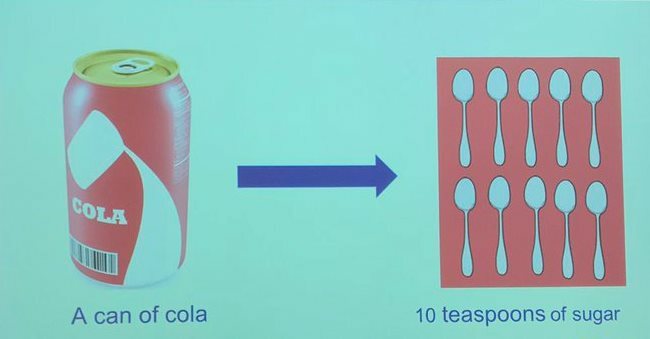 Sugary drinks contribute the most added sugar to Australians’ diets 6, so Cancer Council Victoria is focusing on how these beverages can lead to unhealthy weight gain, which can increase the risk of certain cancers. The campaign will communicate that one way of reducing the risk is to cut sugary drinks from your diet. A dedicated campaign website cancervic.org.au/healthyweight will provide factsheets for health professionals and consumers and digital elements about how to make small lifestyle changes to improve people’s health. If you’re eating out, don’t go with the default soft drink – see what other options there are, or just ask for water. Carry a water bottle, so you don’t have to buy a drink if you’re thirsty. Sugar is a type of carbohydrate which provides energy to the body. However, eating too much sugar over time can lead to weight gain. Strong evidence shows that being above a healthy weight increases the risk of developing 13 different types of cancer and chronic diseases including cardiovascular disease and type 2 diabetes. Let’s unpack what happens when our body receives more energy than it needs, how this can lead to weight gain and what you can do to decrease your risk of cancer. Where do we find sugar? In terms of health risks, we need to be concerned about ‘added sugar’. That is, sugar that has been added to food or drink. High in nutrients – vitamins, minerals, fibre or calcium. We should eat these foods every day. These foods are unhealthy and high in energy (kJ). They don’t have other nutrients we need such as fibre, vitamins and minerals. We should limit these foods. 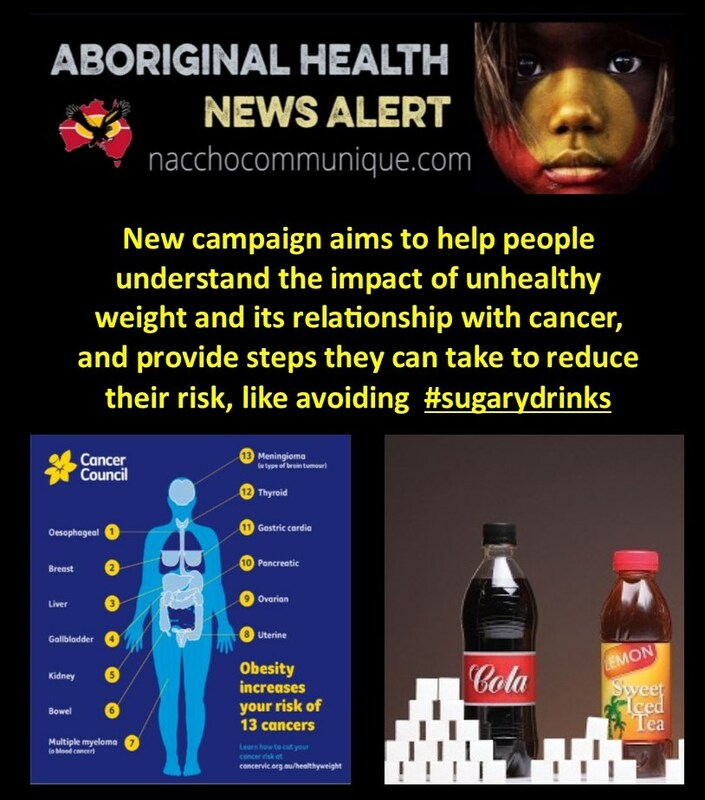 Aboriginal and Torres Strait Islander communities tend to have higher rates of obesity and sugary drink consumption and experience poorer health outcomes as a result. We know that more than half of the Aboriginal and Torres Strait Islander community drink sugary drinks almost every day. Yorta Yorta woman Michelle Crilly gave up her sugary drink habit and hasn’t looked back. Watch her story. 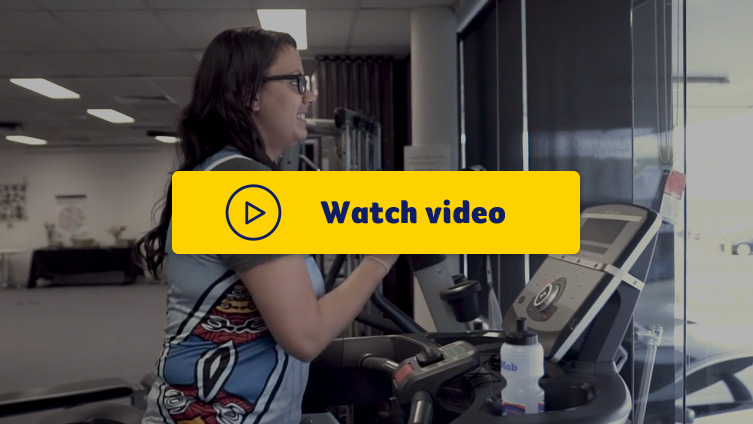 Read more about the ‘Our Stories’ campaign and hear from more inspiring Victorian Aboriginal community members who have cut back on sugary drinks on our partner site Rethink Sugary Drink. ” Indigenous teenage mothers are over-represented One in 4 (24%) teenage mothers identified as Aboriginal and/or Torres Strait Islander in 2015. This means that Indigenous women were over-represented amongst teenage mothers, given Indigenous women aged 15–19 account for only 5.3% of the overall population of Australian females of the same age. Babies of teenage mothers are more likely to be premature and experience health issues in the first month than babies born to women just a few years older, a new report has revealed. Teenage mums are also more likely to live in Australia’s lowest socio-economic areas (42 per cent) compared to mums aged 20-24 years (34 per cent), according to the report by the Australian Institute of Health and Welfare (AIHW). The report, published today , showed the numbers of teenage mothers had dropped from 11800 in 2005 to 8200 in 2015, with nearly three-quarters of teenage mothers aged 18 or 19. Compared to babies born to mothers aged 20-24 years, more babies born to teenage mothers were premature, had a low birth weight and needed admission to special care nursery. Despite the negative outcomes for babies, the report showed positive trends for teenage mothers including more spontaneous labours, lower caesarean section rates and less diabetes for teenage mothers. “The difference between teenage mothers and those in the slightly older age group is due in part to a large number of teenage mothers living in low socio-economic areas,” says AIHW report author Dr Fadwa Al-Yaman. Dr Al-Yaman said the differences could also be due to the higher smoking rates in pregnancy, with a quarter of teenage mothers smoking after 20 weeks of pregnancy compared to 1 in six of those aged 20 to 24. 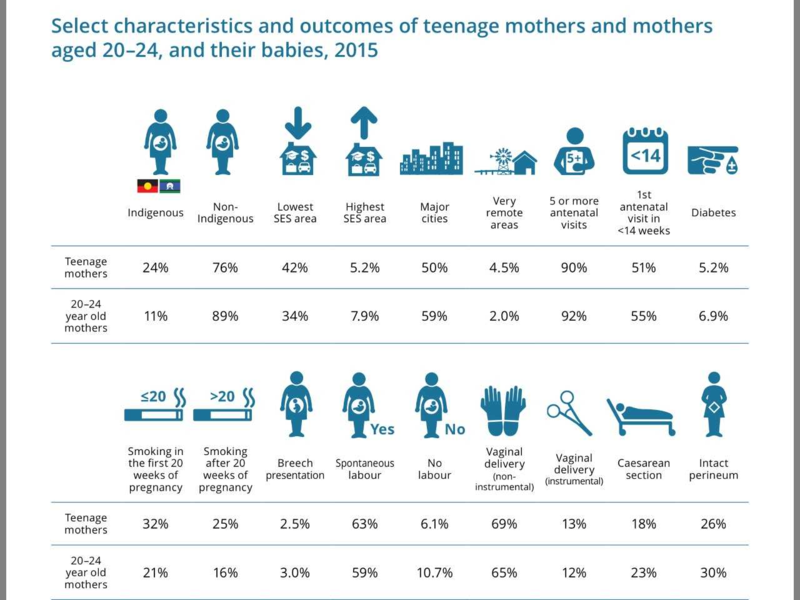 A quarter of teenage mothers identified as Aboriginal or Torres Strait Islander, with Indigenous teenage mothers almost twice as likely to smoke during pregnancy as non-Indigenous mothers. Dr Al-Yaman said risk factors were highly interlinked, with issues such a smoking, low levels of education and employment being concentrated in remote areas. The teenage birth rate in metro areas is less than half that of regional areas, she said. “There is a strong link between socio-economic disadvantage and living in remote areas,” she told AAP. 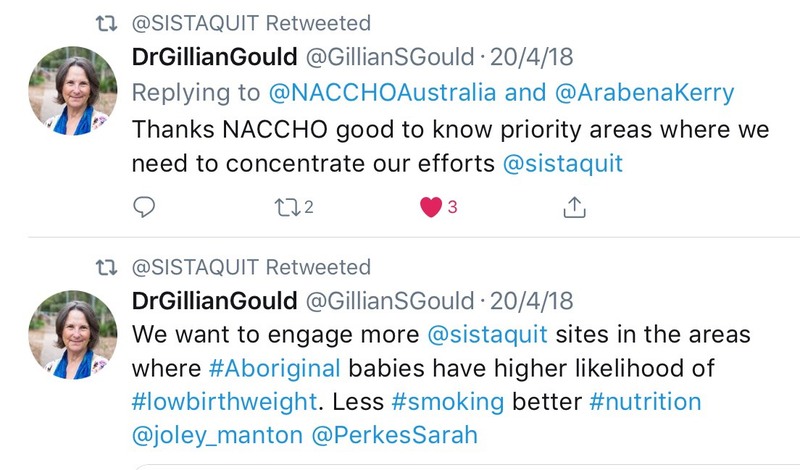 The SISTAQUIT™ trial aims to improve health providers’ skills and when offering smoking cessation care to pregnant Aboriginal and Torres Strait Islander women. Pregnancy is an important window of opportunity for GPs and health providers to help smokers quit, however they often lack the confidence and skills to address their patients’ smoking. 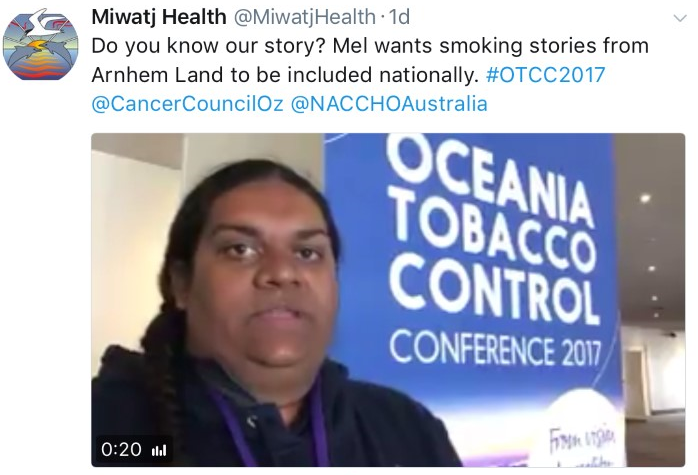 This intervention provides webinar-based training in evidence based and culturally competent smoking cessation care for providers working within Aboriginal Medical and Health Services. 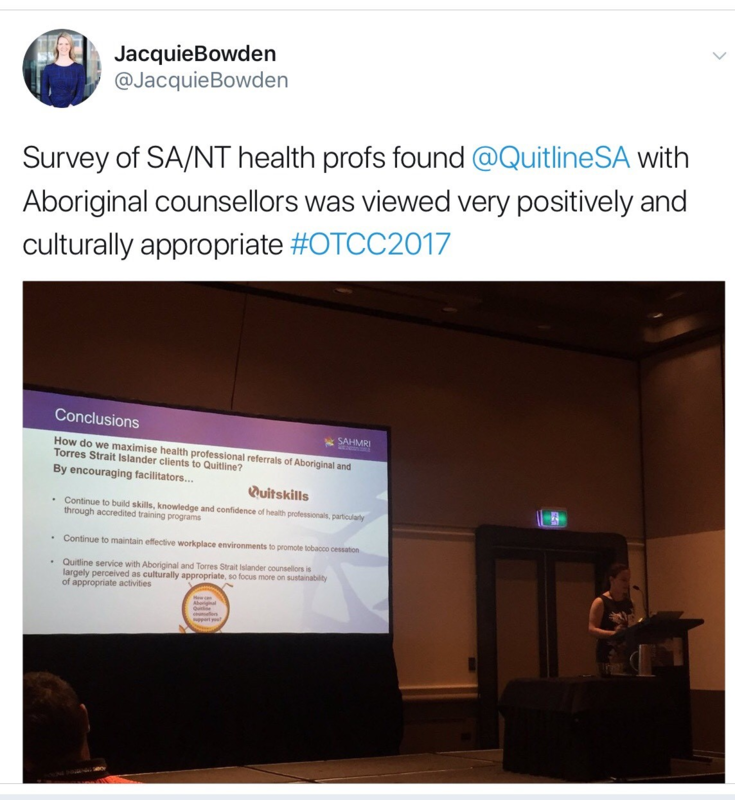 The SISTAQUIT™ Team are currently recruiting Aboriginal Medical Services (AMS) and GP practices in NSW, WA, QLD, SA and NT for this study. To find out more about your service being involved in the SISTAQUIT™ trial please contact Dr Gillian Gould or Joley Manton at the University of Newcastle. Indigenous teenage mothers are over-represented One in 4 (24%) teenage mothers identified as Aboriginal and/or Torres Strait Islander in 2015. The average age of Indigenous teenage mothers (17.8 years) was lower than for non- Indigenous mothers (18.1 years). 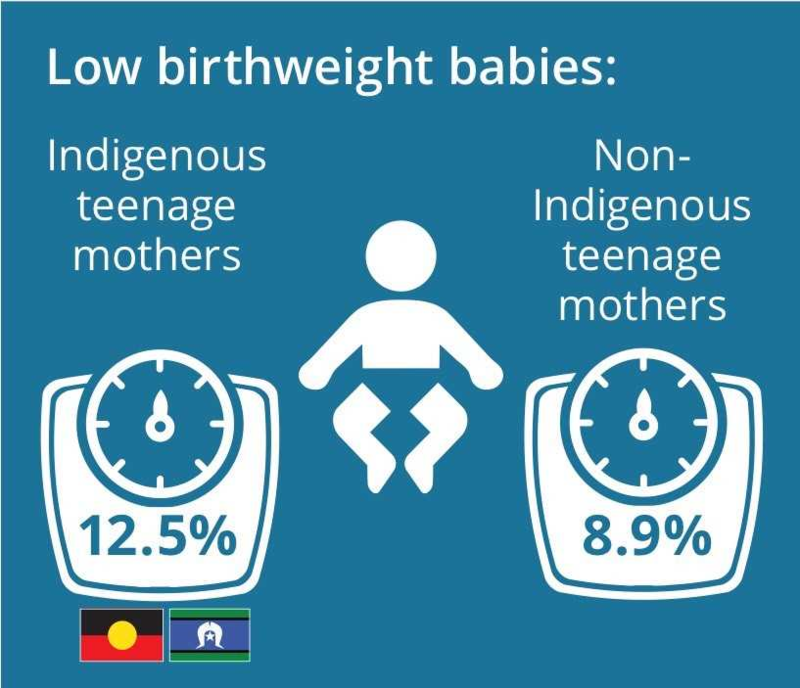 Indigenous teenage mothers were 4.5 times as likely to be aged under 15 (1.8%; 35) as non-Indigenous teenage mothers (0.4%; 27) and less likely to be aged 19 (37.4%; 744 compared with 49.1%; 3,048). 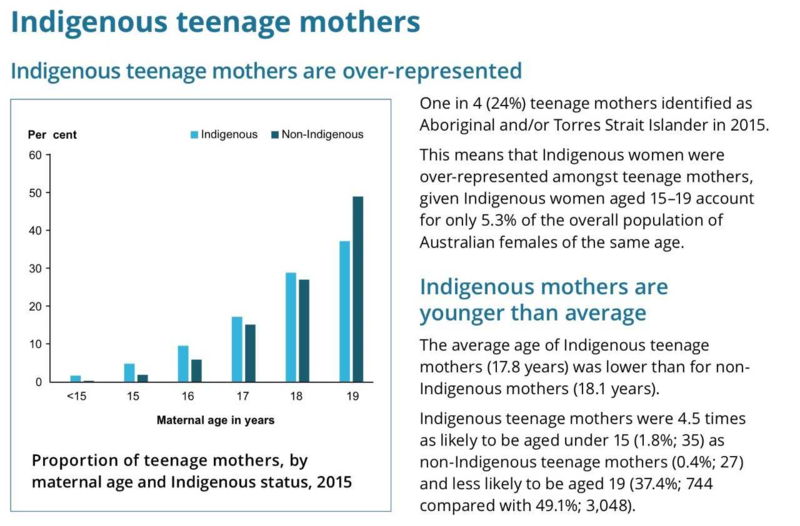 The proportion of Indigenous mothers in Australia is higher in Remote and Very remote areas, and teenage Indigenous mothers also follow this pattern. In 2015, the Indigenous population rate for 15–19 year old mothers living in Remote and Very remote areas was 84.9 per 1,000 females, which was 5.5 times the non-Indigenous rate (15.2 per 1,000). The population rate for 15–19 year old Indigenous mothers was also higher for women living in Major cities at 40.7 per 1,000 for Indigenous women compared with 7.1 per 1,000 for non-Indigenous women. 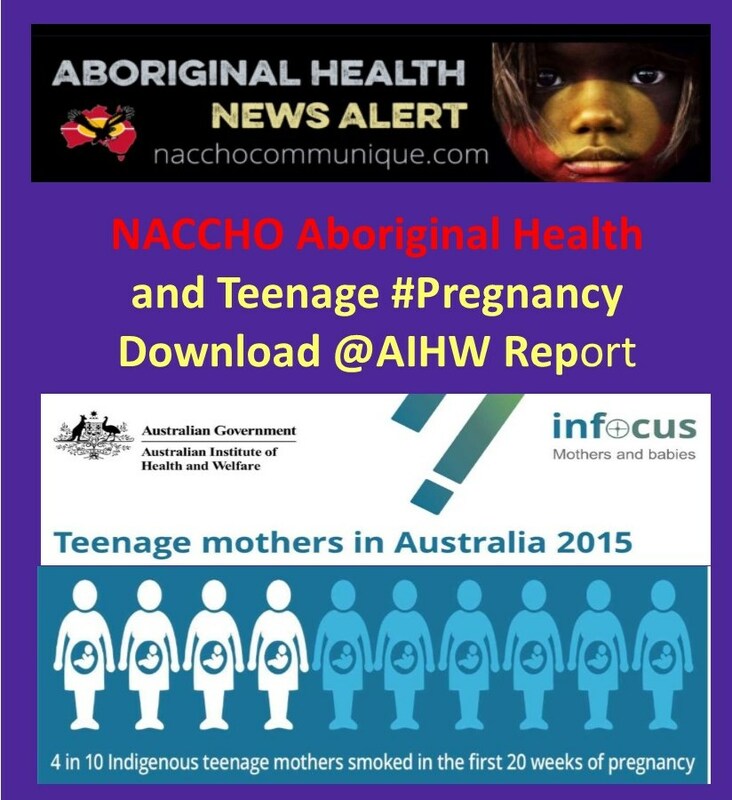 Indigenous teenage mothers generally attended fewer antenatal visits than non-Indigenous teenage mothers, with higher proportions of 1 visit (1.5% compared with 0.9%) and 2–4 visits (9.5% compared with 6.1%) and lower proportions of 5 or more visits (86% compared with 91%). They were 1.1 times as likely to attend their first antenatal visit at 20 weeks gestation or more (25% compared with 23%). • 1.7 times as likely to smoke after 20 weeks (36% compared with 21%). Indigenous teenage mothers were 1.2 times as likely as non-Indigenous teenage mothers to have diabetes (6.0% compared with 4.9%) and gestational diabetes (5.1% compared with 4.2%). In 2015, Indigenous teenage mothers were more likely than their non-Indigenous counterparts to have spontaneous labour (66% compared with 62%), and less likely to have induced labour (28% compared with 32%), but equally likely to have no labour (both 6.1%). • have an intact perineum (27% compared with 26%). It also remains the leading cause of preventable disease, accounting for more than 12 per cent of the overall burden of illness in our Indigenous communities. 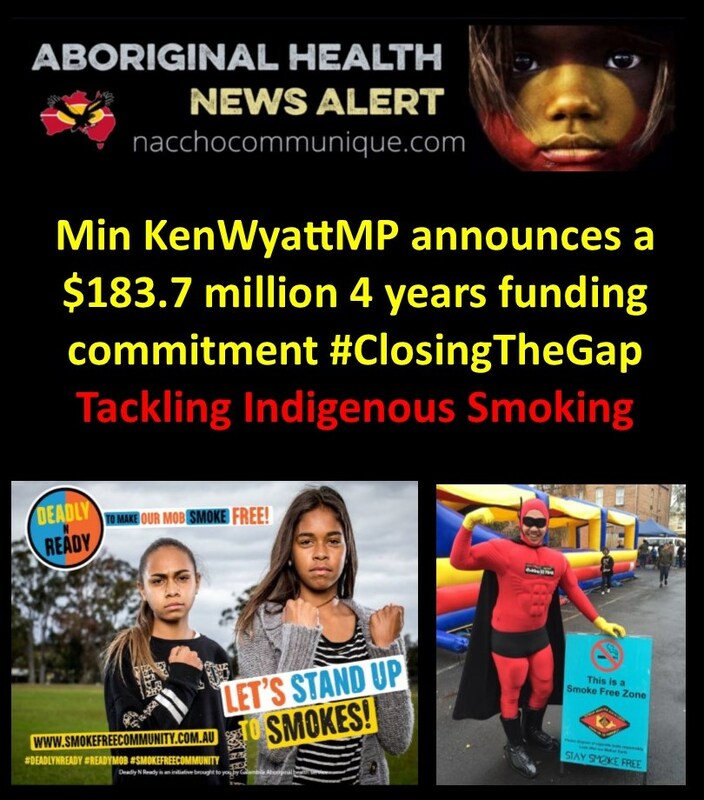 Ahead of the release of the latest Closing the Gap progress report, Aged Care and Indigenous Health Minister Ken Wyatt said a four-year “Tackling Indigenous Smoking” program will direct money to successful local initiatives to continue to drive down smoking rates. The Turnbull government has announced more than $180 million for programs to reduce the drastic rates of smoking among Indigenous Australians, with tobacco still a leading cause of death and illness in communities across the country. The government’s Closing the Gap progress report will be published today, the week after a 10-year review by the Close the Gap campaign criticised the government for “effectively abandoning” the strategy with $530 million in funding cuts put in place under former prime minister Tony Abbott. Lena-Jean Charles-Loffel, who leads a Victorian Aboriginal Health Service anti-smoking initiative, said the organisation relied on federal funding to deliver its programs. 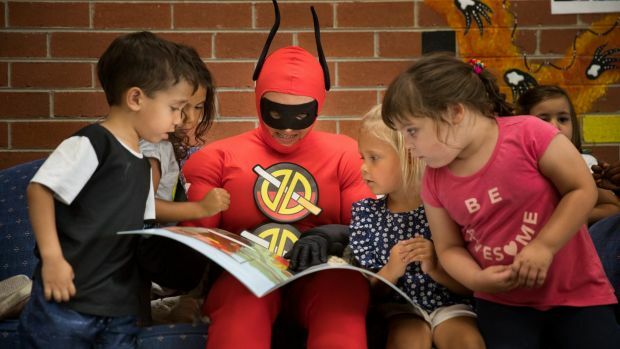 As part of her work, every Friday at Yappera Children’s Services in Thornbury, Ms Charles Loffell leads sessions that include reading, games and an Aboriginal super hero called Deadly Dan to educate kids on the dangers of smoking. “It’s important to target the younger generation because they are going to be our best smoke-free ambassadors not just because of the choices they can make when they are older but because they are having an influence on the people around them,” Ms Charles-Loffel said. She said a recent focus group conducted by her organisation had found families in the local community had gone completely smoke-free because of the influence of their children spreading the word. Mr Wyatt said the four-year timeframe of the funding allowed organisations to have stability and long-term planning and emphasised that, underneath the mixed national results on Closing the Gap targets, there were successful efforts. “The challenge when you aggregate to national data is that that is lost. And I would hope that we turn our minds not to the gap but to the effective programs and improved outcomes and build on that,” he said. Overall, the government’s anti-smoking funding seeks to support education programs, smoking during pregnancy, the especially high rates of smoking in remote areas, the Indigenous quitline service, and local Indigenous cultural programs. The most recent data from the Australian Bureau of Statistics shows Indigenous smoking rates have dropped an average 2.1 per cent annually since 2008, with particular reductions among young people. Smoking-related heart disease has fallen while lung cancer continues to rise. This week, the Close the Gap campaign’s scathing review said the Closing the Gap strategy had only been “partially and incoherently” adopted since being established in 2008 and called for national leadership. 1.2. National : The Redfern Statement Alliance Call for Funding to be Reinstated to the National Congress of Australia’s First Peoples . On the eve that the Australian Government has secured a seat on the United Nations Human Rights Council, the Redfern Statement Alliance Leaders met to discuss its relationship with the Australian Government. Securing this position to the UN Council does not reflect the relationship this Government has with Aboriginal and Torres Strait Islander people. In 2008 there was bi-partisan support for the National Congress as an elected voice of Aboriginal and Torres Strait Islander People. 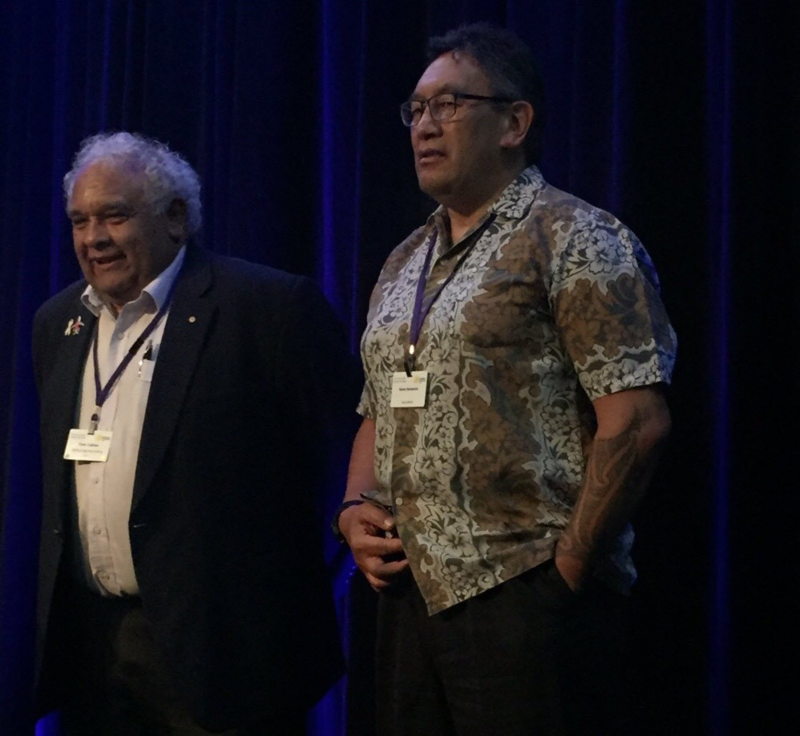 Co-Chair Rod Little said, “National Congress is strongly committed to the implementation of the United Nations Declaration on the Rights of Indigenous Peoples. 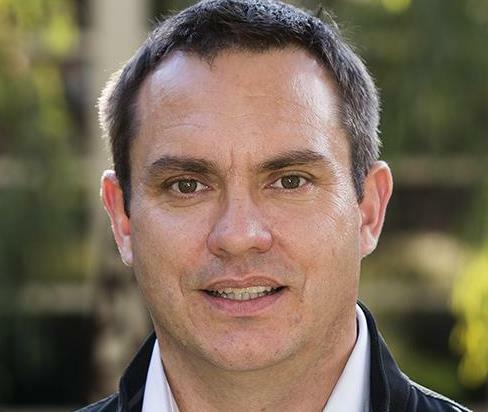 The recent UN Special Rapporteur on the rights of Indigenous People’s report delivered a verdict to the Australian Government on the status of Aboriginal Australia and called for the reinstatement of funds to the National Congress of Australia’s First Peoples. 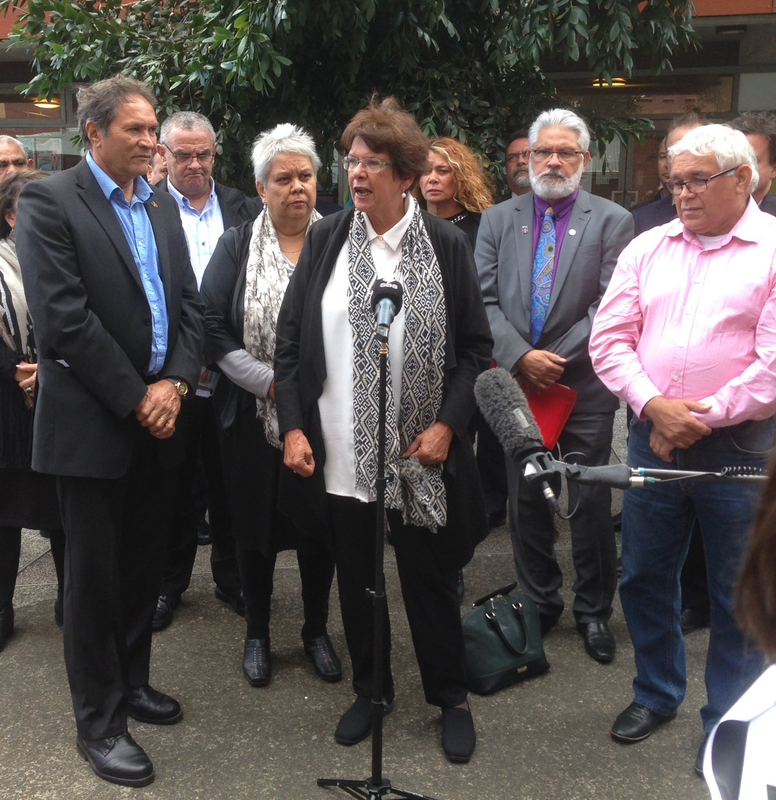 The Redfern Statement Alliance Leaders call on Prime Minister Turnbull to seize the opportunity to do the right thing and invest in the National Congress of Australia’s First Peoples as a lead Aboriginal and Torres Strait Islander community controlled organisation. Australia is now going to be overseeing the human rights records of other nations whilst serious human rights violations are being committed against our people daily. 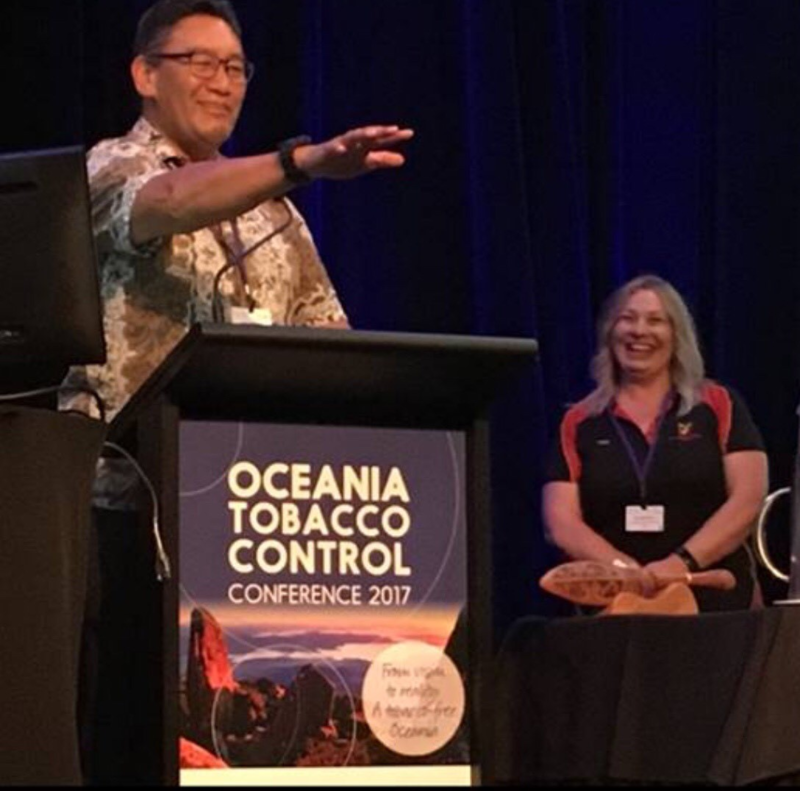 Here’s Tina Goodwin, TAC tobacco worker, on stage at the Oceania Tobacco Control Conference is Tasmania this week with Hone Harawura. 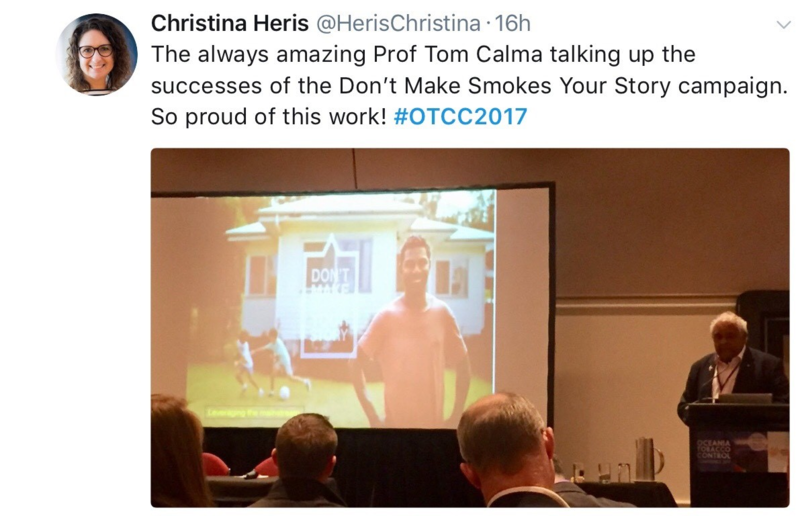 Tina announced Hone as the winner of the Tariana Turia award which recognises significant contributions to Indigenous tobacco control. Hone has worked as a community activist and parliamentarian on many issues of importance to Maori. He wants to see tobacco companies sued for all of the death and destruction they cause to Maori, Aboriginal and other Indigenous communities. Representing Deadly Dan and ready to take on day 1 of the Oceania Tobacco Control Conference 2017 in Hobart. 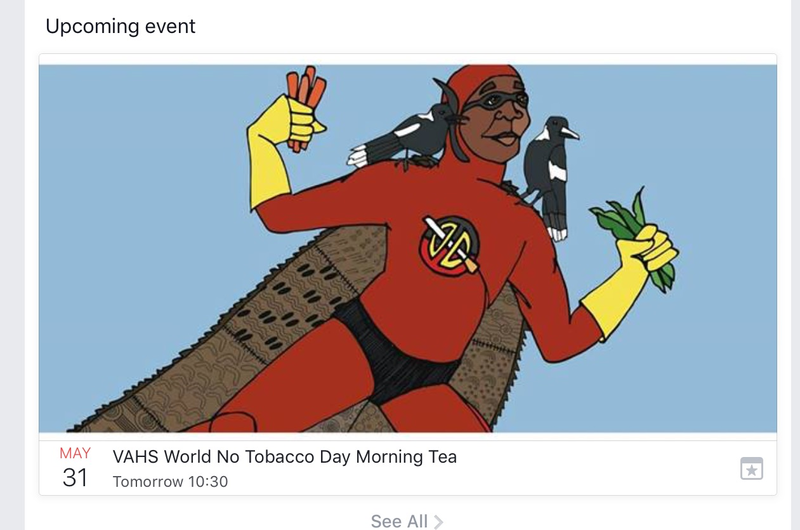 Very excited to hear from our friends in other Tackling Indigenous Smoking Teams and mainstream organisations from Aus, NZ and Pacific Islands today. Learning about the progress and challenges as we aim for a Tobacco Free Pacific by 2025! The team exploring kunanyi this morning. 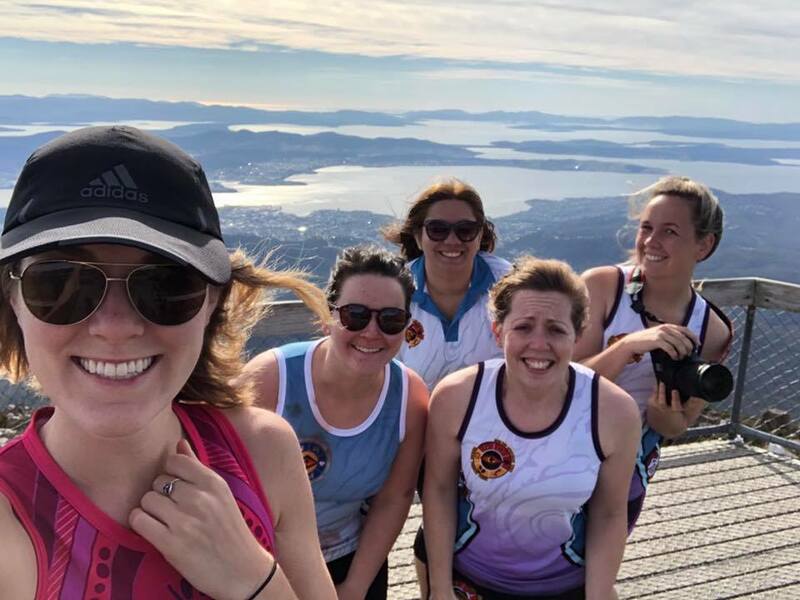 Checking out the view and getting our 30 minutes of exercise in before day 2 of the Oceania Tobacco Control Conference. Having a great time. Loving learning about the rich Aboriginal history of this area and meeting other passionate like minded health professionals. If you can’t tell from our faces it was very cold at the top! 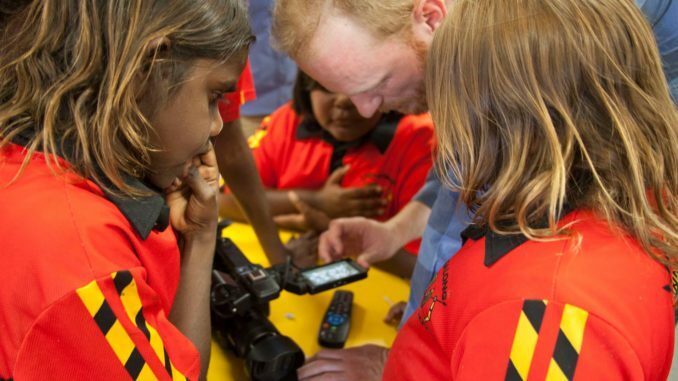 Young people in four remote communities in Western Australia’s East Pilbara — where up to 80 percent of community members smoke — have joined forces with filmmakers on a campaign to urge people to give up the deadly habit. The youngsters from Jigalong, Parnngurr, Punmu and Kunawarritji in WA are shedding light on the personal stories of local smokers to warn about the dangerous habit in a series of short films. Fifteen-year-old Clintesha Samson, who was involved in the films and doesn’t smoke, said she would like to see people in her community stop for the sake of their health. She said she thought film was a good way to get the message across. The series of films are part of a ‘you CAN quit’ project that has documented the stories of community members who have kicked the habit and those who have been affected by smoking-related illnesses. 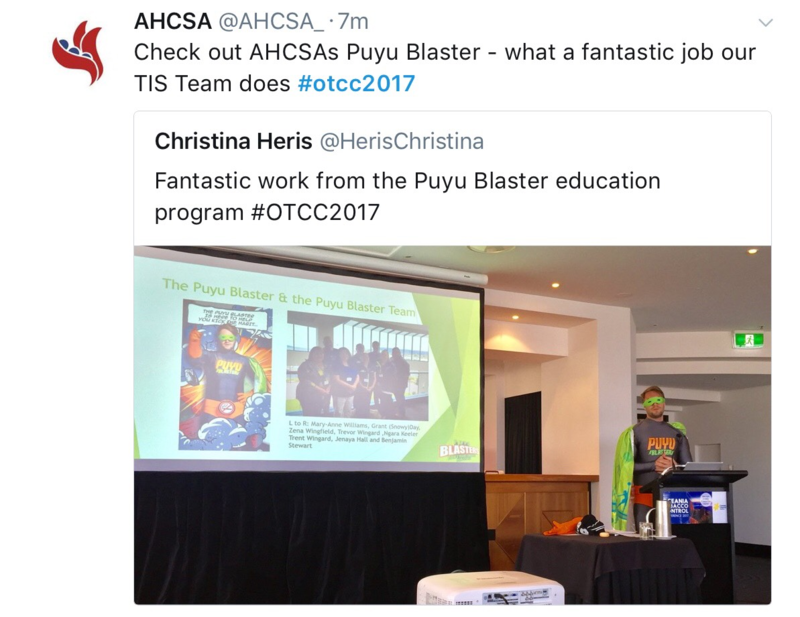 The project was organised by Puntukurnu Aboriginal Medical Service’s Tackling Indigenous Smoking team. The young people involved were responsible for researching, shooting, editing and promoting the films. Puntukurnu Aboriginal Medical Service regional tobacco coordinator Danika Tager said smoking rates in the East Pilbara were high and more needed to be done to support communities to address tobacco addiction. 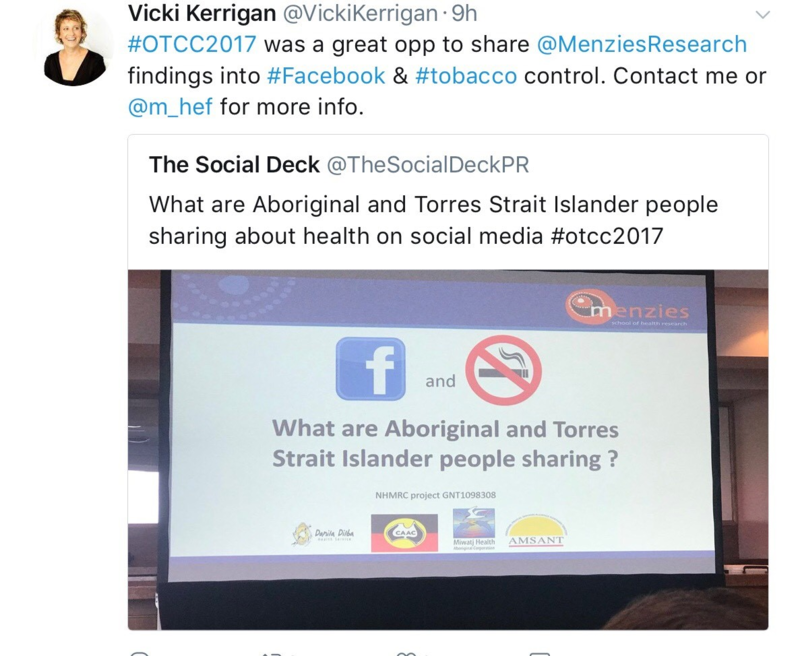 “Smoking rates in remote East Pilbara communities are as high as 80 percent and tobacco use is the single most preventable cause of death and disease in this population,” Ms Tager said. The films are being shown in communities and also aired on TV and social media. The Puntukurnu Aboriginal Medical Service is a community-controlled health organisation that provides primary health care, 24-hour emergency services and preventative health and education programs in the communities of Jigalong, Parnngurr, Punmu and Kunawarritji. But we’re seeing tobacco’s lethal legacy from when smoking prevalence was at its peak. Dr Ray Lovett from the ANU Research School of Population Health. 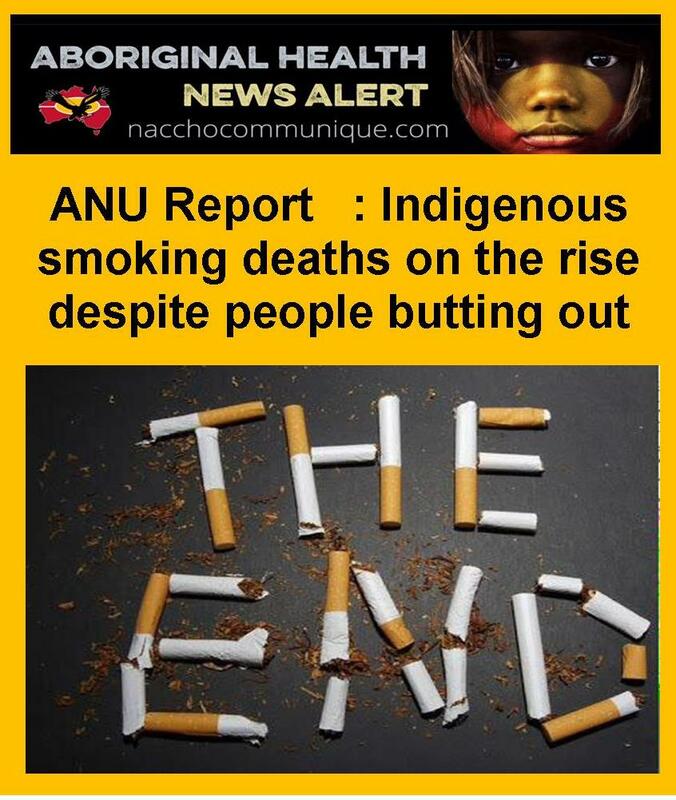 Smoking-related deaths among Indigenous Australians are likely to continue to rise and peak over the next decade despite big reductions in smoking over the past 20 years, a new study led by The Australian National University (ANU) has found. 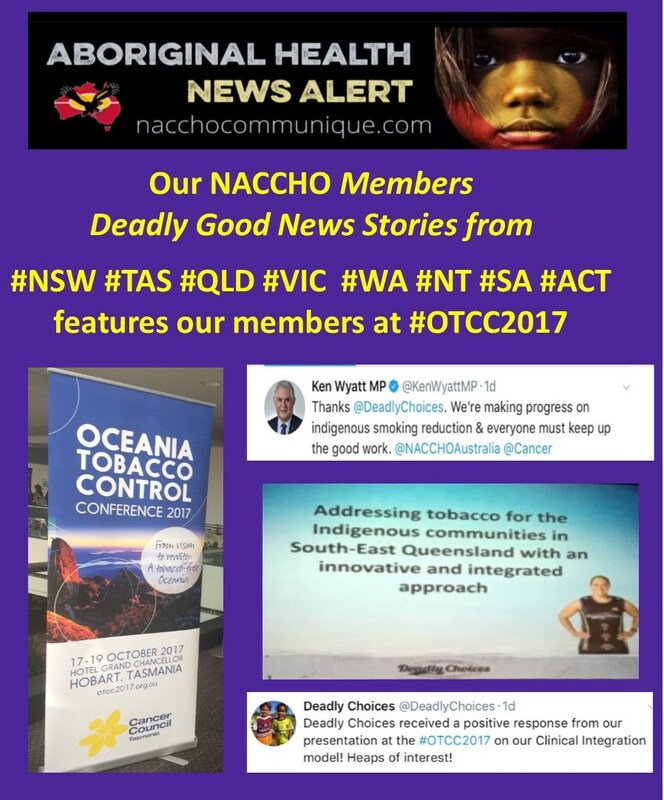 Dramatic decreases in smoking prevalence in the total Australian population suggest that the smoking epidemic is in its final stages.3,6 However, the stage of the tobacco epidemic among the Indigenous Australian population is less clear. Understanding the stage of the epidemic provides insight into probable trends in smoking-attributable mortality, thereby enabling accurate communication of the likely impacts of smoking4, and informing relevant programs and policies. This paper provides a perspective on the current stage of the smoking epidemic among Indigenous Australians based on an existing model of smoking epidemic stages3, and describes the expected short- and long-term implications for the wellbeing of the Indigenous population, and for programs and policies. Lead researcher Dr Ray Lovett said the study found the lag between smoking and the onset of smoking-related diseases such as lung cancer means the number of smoking deaths was likely to keep climbing. 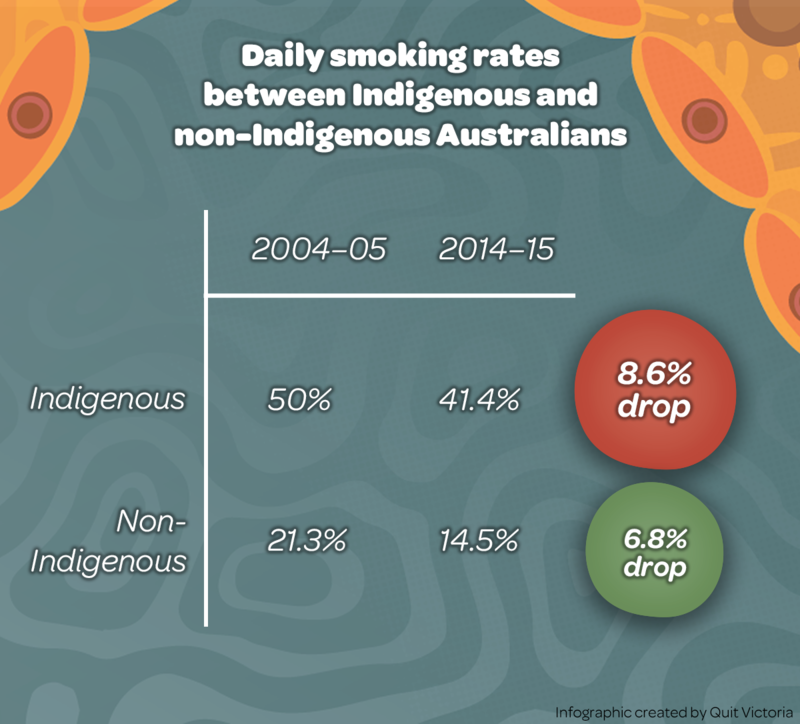 Smoking rates among Indigenous Australians have dropped from more than half the population in 1994 to two in five adults today. This is still two and a half times higher than the rest of the Australian population. 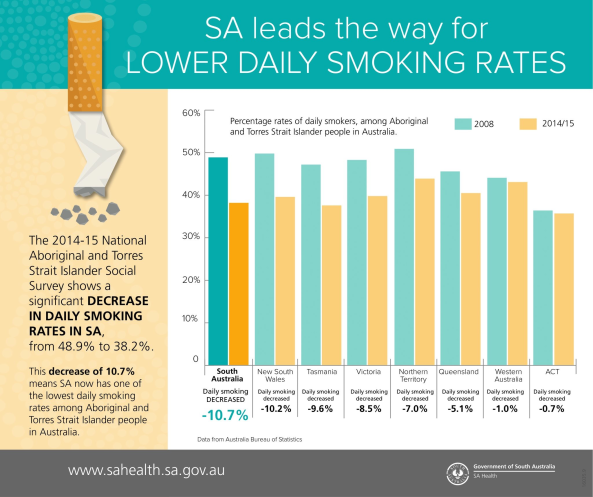 Dr Lovett said the substantial progress in reducing smoking rates, particularly in the past decade, was a clear sign that further reductions and improvements to Indigenous health could be achieved. Co-researcher Dr Katie Thurber said the team analysed the available national health and death data from the past 20 years to conduct the study. “The available data do not provide the full picture of smoking and its impacts for the Aboriginal and Torres Strait Islander population, so it’s important to understand these limitations and work towards improving data in the future,” said Dr Thurber from the ANU Research School of Population Health. The research paper is published in the Public Health Research & Practice journal and this issue of the journal celebrates 50 years since the 1967 referendum, when Australians voted to amend the Constitution to allow the Commonwealth to create laws for Indigenous people and include them in the Census. ” The Australian Institute of Health and Welfare (AIHW) have released the National drug household survey: detailed findings 2016 report. 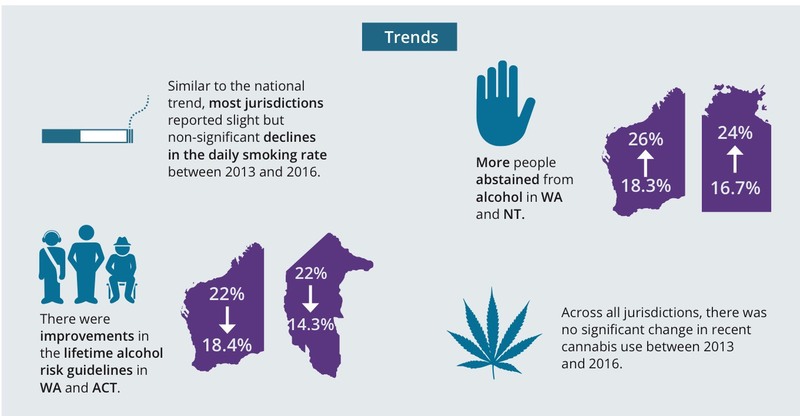 The report aims to provide insight into Australians’ use of, and attitudes to, drugs and alcohol in 2016. This report expands on the key findings from the 2016 National Drug Strategy Household Survey (NDSHS) that were released on 1 June 2017. It presents more detailed analysis including comparisons between states and territories and for population groups. Unless otherwise specified, the results presented in this report are for those aged 14 or older. 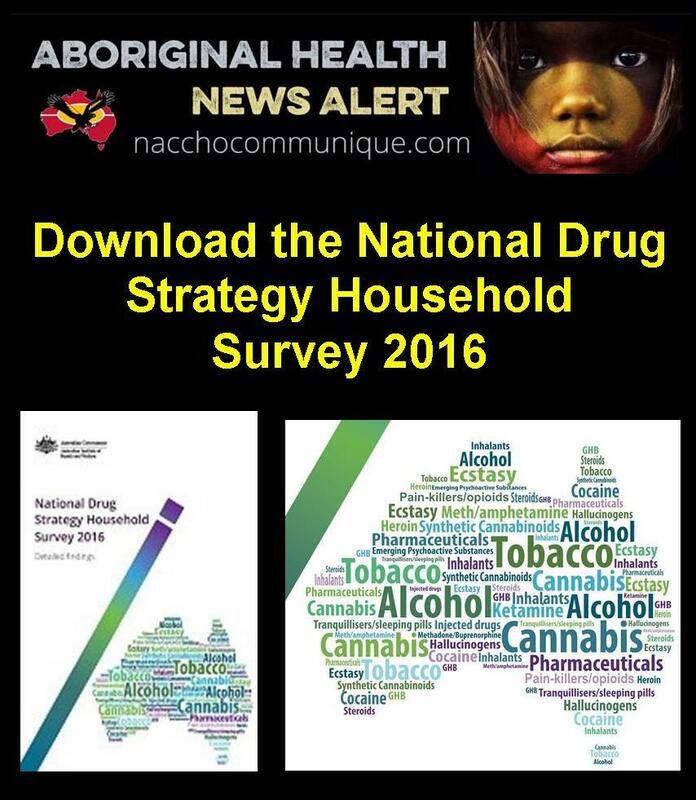 As Indigenous Australians constitute only 2.4 per cent of the 2016 NDSHS (unweighted) sample (or 568 respondents), the results must be interpreted with caution, particularly those for illicit drug use. In 2016, the daily smoking rate among Indigenous Australians was considerably higher than non-Indigenous people but has declined since 2010 and 2013 (decreased from 35% in 2010 to 32% in 2013 and to 27% in 2016) (Figure 8.7). 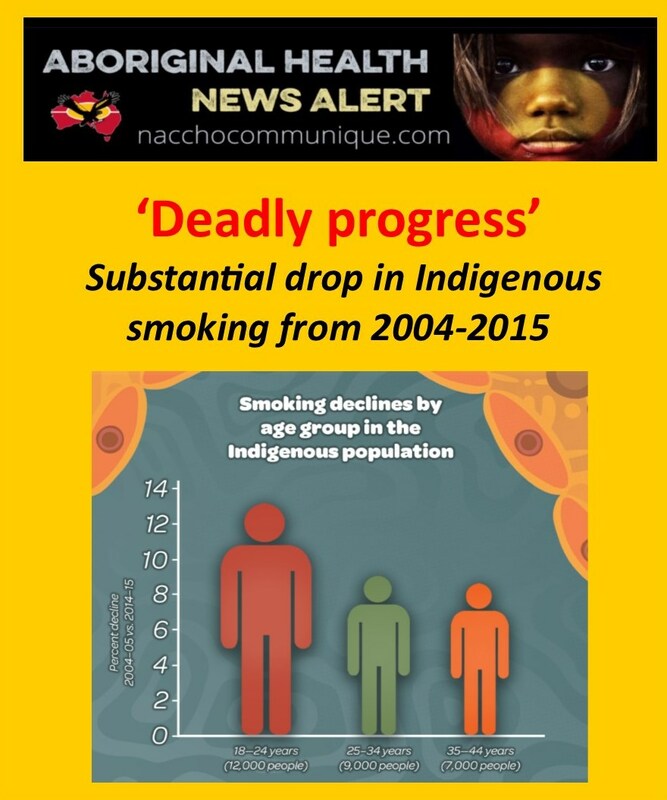 The NDSHS was not designed to detect small differences among the Indigenous population, so even though the smoking rate declined between 2013 and 2016, it was not significant. 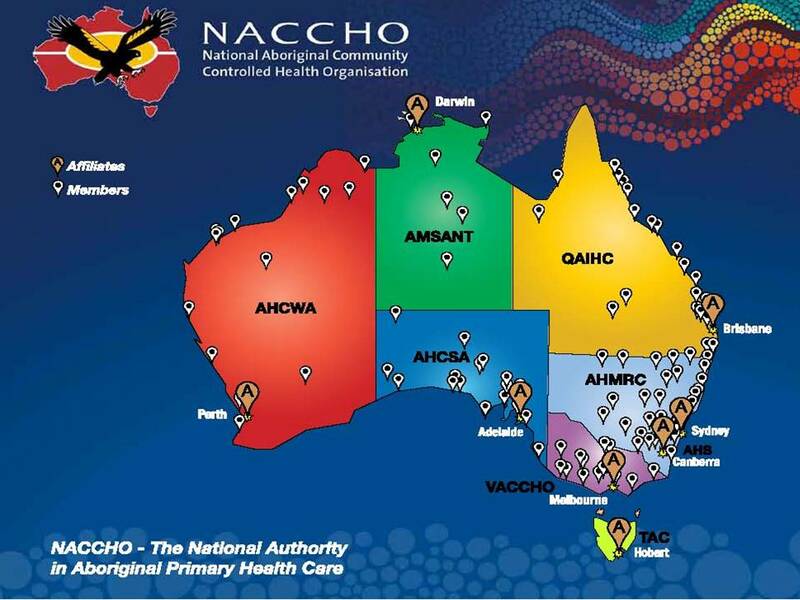 The Australian Aboriginal and Torres Strait Islander Health Survey (AATSIHS) and the National Aboriginal and Torres Strait Islander Social Survey (NATSISS) were specifically designed to represent Indigenous Australians (see Box 8.1 for further information). After adjusting for differences in age structures, Indigenous people were 2.3 times as likely to smoke daily as non-Indigenous people in 2016 (Table 8.7). Overall, Indigenous Australians were more likely to abstain from drinking alcohol than non-Indigenous Australians (31% compared with 23%, respectively) and this has been increasing since 2010 (was 25%) (Figure 8.8). Among those who did drink, a higher proportion of Indigenous Australians drank at risky levels, and placed themselves at harm of an alcoholrelated injury from single drinking occasion, at least monthly (35% compared with 25% for non-Indigenous). The (rate ratio) gap in drinking rates was even greater when looking at the consumption of 11 or more standard drinks at least monthly. Indigenous Australians were 2.8 times as likely as non-Indigenous Australians to drink 11 or more standard drinks monthly or more often (18.8% compared with 6.8%). About 1 in 5 (20%) Indigenous Australian exceeded the lifetime risk guidelines in 2016; a slight but non-significant decline from 23% in 2013, and significantly lower than the 32% in 2010. The proportion of non-Indigenous Australians exceeding the lifetime risk guidelines in 2016 was 17.0% and significantly declined from 18.1% in 2013. 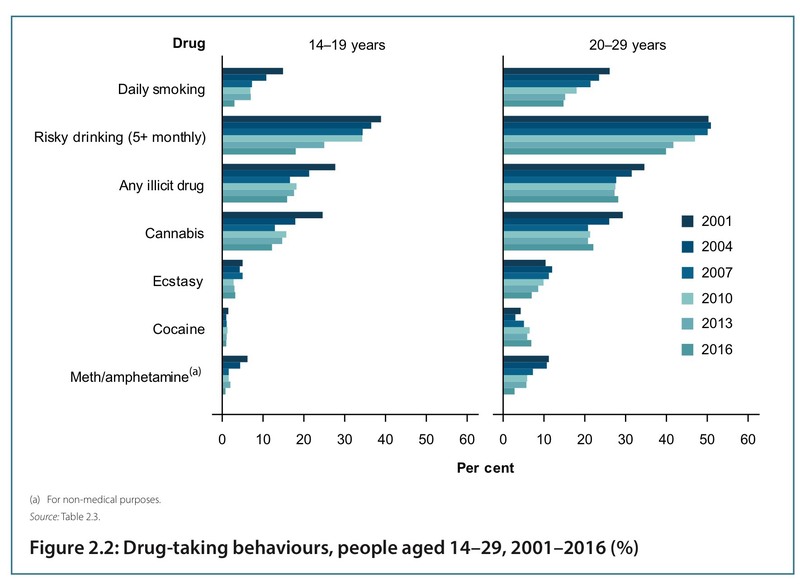 Other than ecstasy and cocaine, Indigenous Australians aged 14 or older used illicit drugs at a higher rate than the general population (Table 8.6). In 2016, Indigenous Australians were: 1.8 times as likely to use any illicit drug in the last 12 months; 1.9 times as likely to use cannabis; 2.2 times as likely to use meth/amphetamines; and 2.3 times as likely to misuse pharmaceuticals as non-Indigenous people. These differences were still apparent even after adjusting for differences in age structure (Table 8.7). There were no significant changes in illicit use of drugs among Indigenous Australians between 2013 and 2016. Smoking rates have been on a long-term downward trend since 1991, but the daily smoking rate did not significantly decline over the most recent 3 year period (was 12.8% in 2013 and 12.2% in 2016). Among current smokers, 3 in 10 (28.5%) tried to quit but did not succeed and about 1 in 3 (31%) do not intend to quit. People living in the lowest socioeconomic areas are more likely to smoke than people living in the highest socioeconomic area but people in the lowest socioeconomic area were the only group to report a significant decline in daily smoking between 2013 and 2016 (from 19.9% to 17.7%). The proportion exceeding the lifetime risk guidelines declined between 2013 and 2016 (from 18.2% to 17.1%); however, the proportion exceeding the single occasion risk guidelines once a month or more remained unchanged at about 1 in 4. Among recent drinkers: 1 in 4 (24%) had been a victim of an alcohol-related incident in 2016; about 1 in 6 (17.4%) put themselves or others at risk of harm while under the influence of alcohol in the last 12 months; and about 1 in 10 (9%) had injured themselves or someone else because of their drinking in their lifetime. 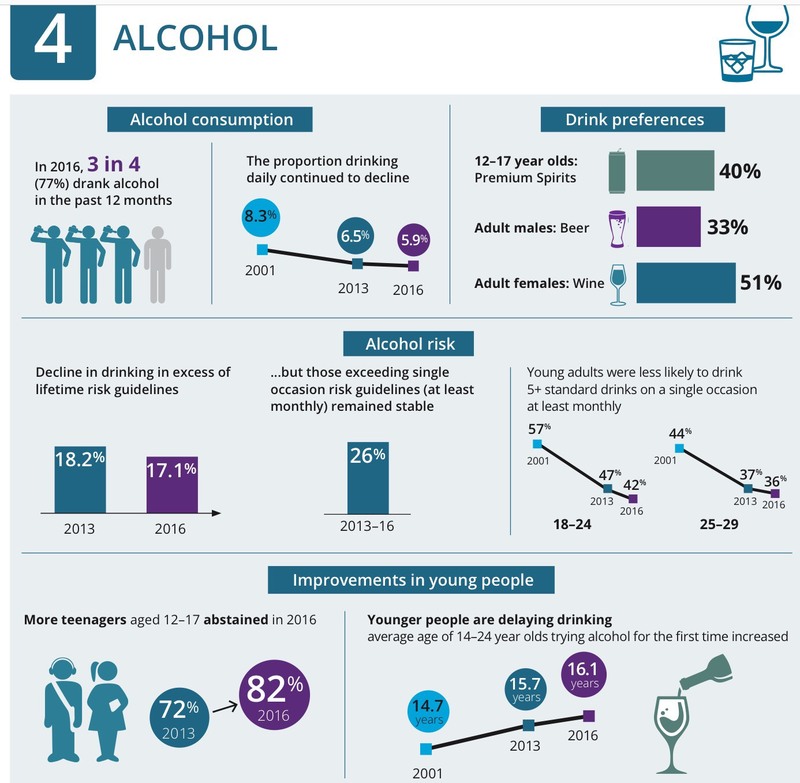 Half of recent drinkers had undertaken at least some alcohol moderation behaviour. The main reason chosen was for health reasons. A greater proportion of people living in Remote or very remote areas abstained from alcohol in 2016 than in 2013 (26% compared with 17.5%) and a lower proportion exceeded the lifetime risk guidelines (26% compared with 35%). In 2016, the most commonly used illegal drugs that were used at least once in the past 12 months were cannabis (10.4%), followed by cocaine (2.5%), ecstasy (2.2%) and meth/amphetamines (1.4%). However, ecstasy and cocaine were used relatively infrequently and when examining the share of Australians using an illegal drug weekly or more often in 2016, meth/amphetamines (which includes ‘ice’) was the second most commonly used illegal drug after cannabis. Most meth/amphetamine users used ‘ice’ as their main form, increasing from 22% of recent meth/amphetamine users in 2010 to 57% in 2016. Use of illicit drugs in the last 12 months was far more common among people who identified as being homosexual or bisexual; ecstasy and meth/amphetamines use in this group was 5.8 times as high as heterosexual people. People who live in Remote and very remote areas, unemployed people and Indigenous Australians continue to be more likely to smoke daily and use illicit drugs than other population groups. The proportion of people experiencing high or very high levels of psychological distress increased among recent illicit drug users between 2013 and 2016—from 17.5% to 22% but also increased from 8.6% to 9.7% over the same period for the non-illicit drug using population (those who had not used an illicit drug in the past 12 months). 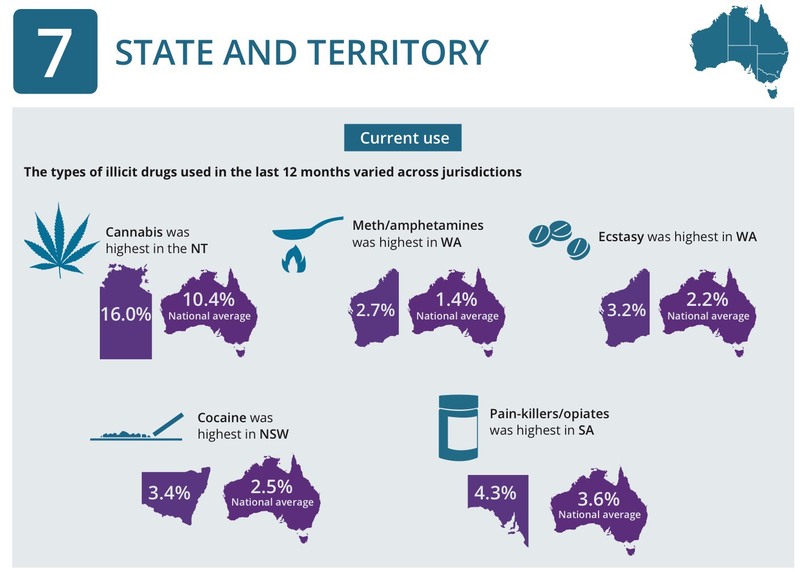 Daily smoking, risky alcohol consumption and recent illicit drug use was lowest in the Australian Capital Territory and highest in the Northern Territory. There was generally greater support for education and treatment and lower support for law enforcement measures. About 1 in 20 Australians reported misusing pharmaceuticals, with 75% of recent painkiller users reporting misusing an ‘over the counter’ codeine product in the past 12 months. The AIHW will be publishing more detailed data on pharmaceutical misuse later in 2017. 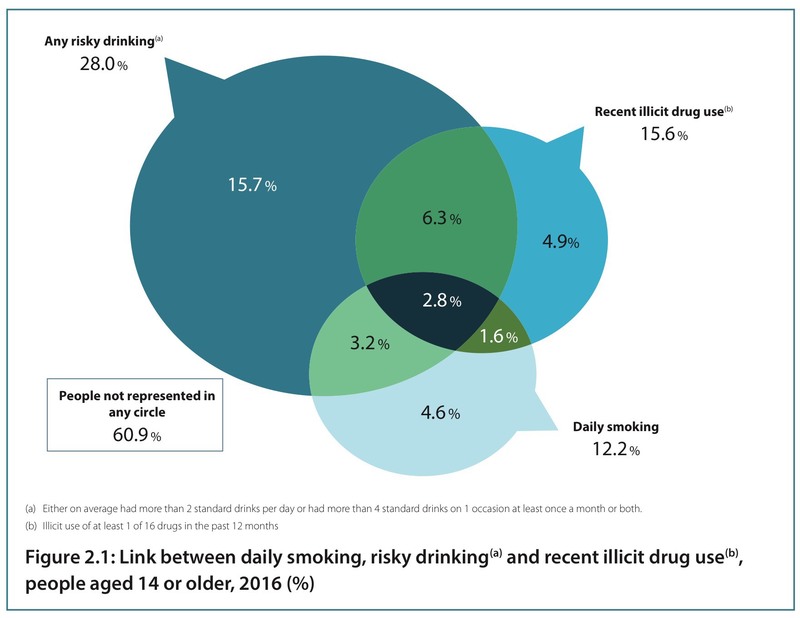 In addition to illicit drugs, the report also provides insights into Australians’ use of alcohol and tobacco, and notes some improvements in risky behaviour (such as driving while under the influence of alcohol), as well as improved smoking rates among people living in lower socioeconomic areas. 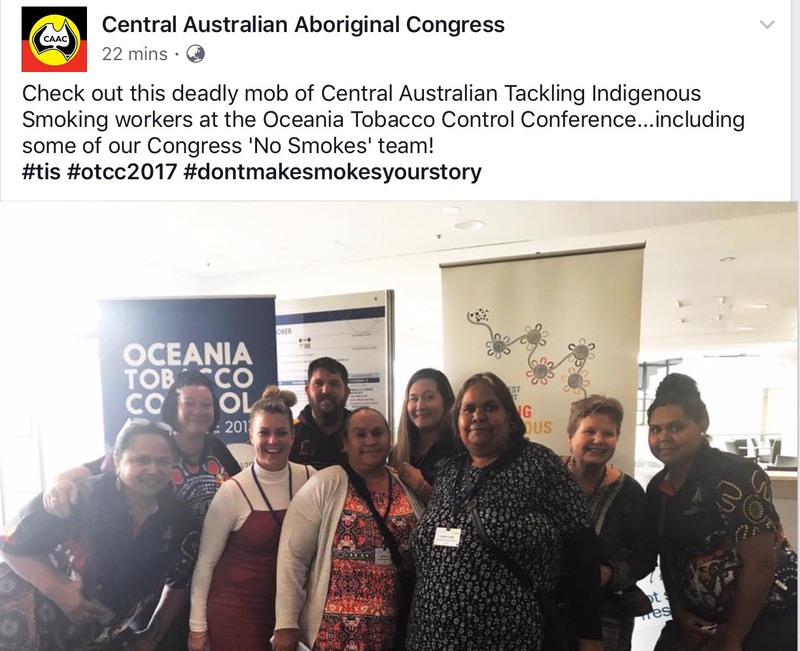 Apunipima Cape York Health Council Tackling Indigenous Smoking (TIS) staff have been engaging with Cape York communities to develop an anti-smoking campaign. The locally appropriate ‘Don’t Make Smokes Your Story’ campaign aims to raise awareness of the harms of smoking and passive smoking, the benefits of a smoke-free environment, and available quit support. 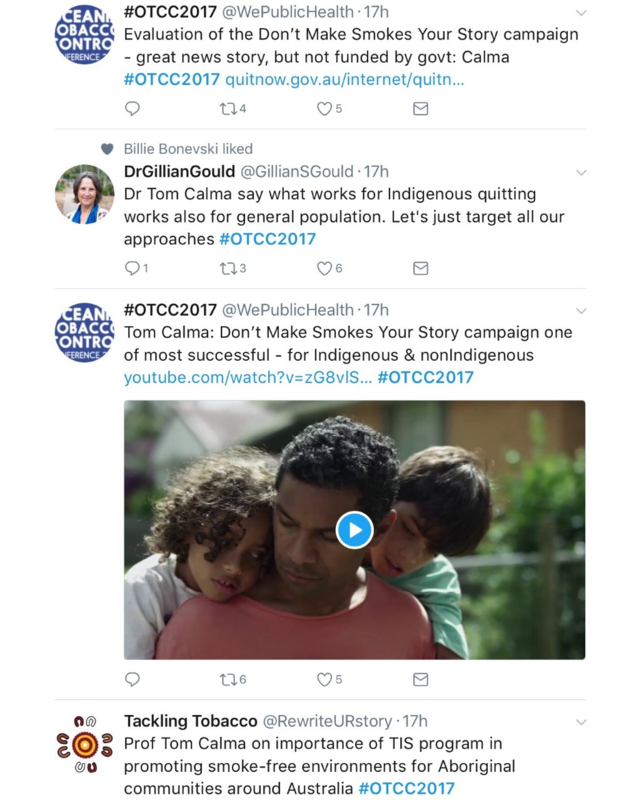 The Cape York ‘Don’t Make Smokes Your Story’ Campaign enables community members to share on film their stories about quitting, trying to quit and the impact of smoking on families and communities. It is hoped that by sharing their stories, others will be encouraged to share their stories too. The stories, as well as posters, social media posts and radio advertisements will be released from May 31st as Apunipima launches the Cape York ‘Don’t Make Smokes Your Story’ campaign. The videos, including those featuring Amos, and Thala, will be distributed on the ‘What’s Your Story, Cape York?’ Facebook page and will be available on the Apunipima YouTube Channel here. 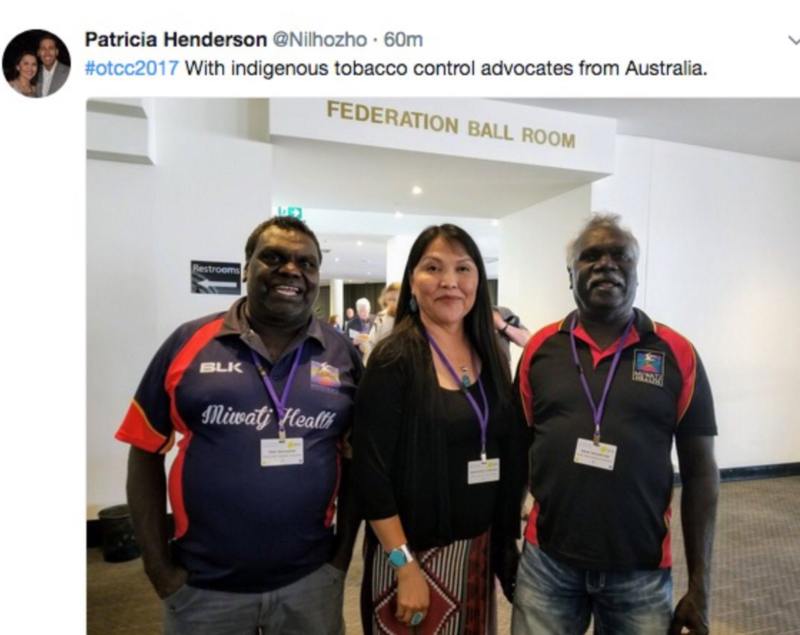 Apunipima received a Tackling Indigenous Smoking (TIS) Regional Tobacco Control Grant as part of the National Tackling Indigenous Smoking program. To effectively reduce smoking rates in Cape York, Apunipima TIS staff have been engaging with communities to develop and implement a locally appropriate social marketing campaign to influence smoking behaviours and community readiness to address smoke-free environments. The Cape York campaign will align with a national ‘Don’t Make Smokes Your Story’ campaign. 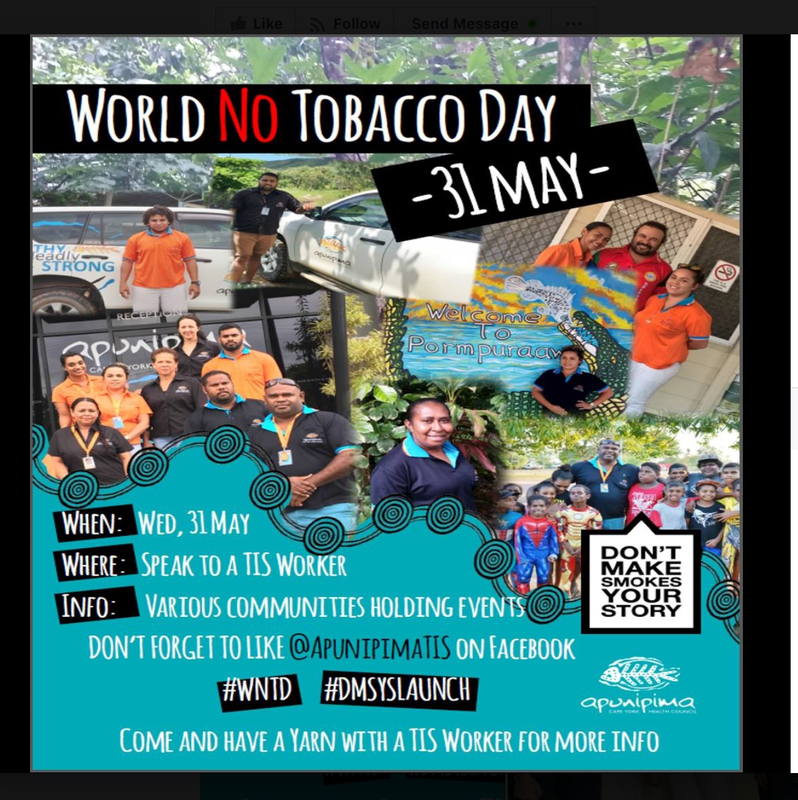 Each year on 31 May, the World Health Organisation (WHO) mark World No Tobacco Day (WNTD), an opportunity to highlight the health and other risks associated with tobacco use, and advocate for policies to reduce tobacco consumption. The theme for 2017 is Tobacco – a threat to development, which aims to demonstrate the risk that the tobacco industry poses to the sustainable development of all countries. The theme will highlight measures that governments and the public can take to promote health and development by confronting the global tobacco crisis. WHO is calling on countries to prioritise and accelerate tobacco control efforts as part of their responses to the 2030 Agenda for Sustainable Development. In addition to saving lives and reducing health inequalities, comprehensive tobacco control contains the adverse environmental impact of tobacco growing, manufacturing, trade and consumption. 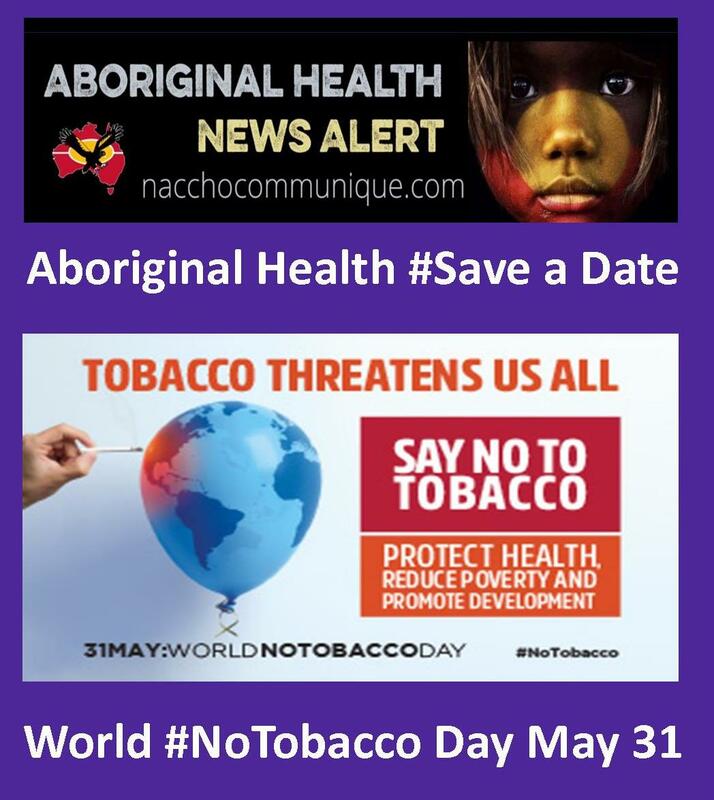 In Australia, tobacco smoking is still an area of concern, particularly for Aboriginal and Torres Strait Islander people in rural and remote areas. 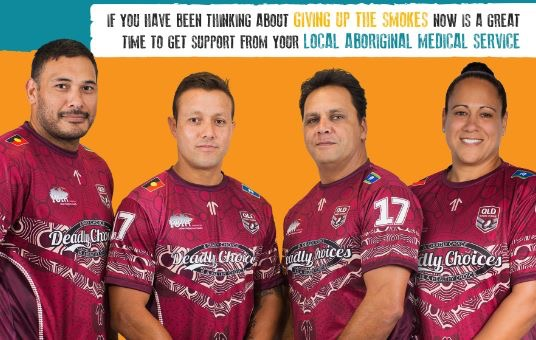 Encourage people to join the Deadly Choices Smoke-Free Team by attending Quit appointments at IUIH clinics. 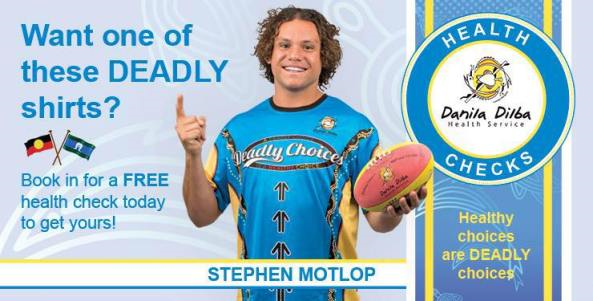 Complete the Deadly Choices Tobacco Survey. Sign the pledge to make your home and car Deadly, Smoke-Free Spaces. A Deadly Home Pack containing stickers, magnets and a fact sheet. An entry into the competition to win a family trip to Sydney to watch State of Origin 2 at ANZ Stadium. If you’re a smoker, you’re encouraged to register yourself for Quit appointments at the clinics. If you do this, and attend four Quit sessions, you are eligible for a limited edition Smoke-Free Team jersey. Not a smoker? 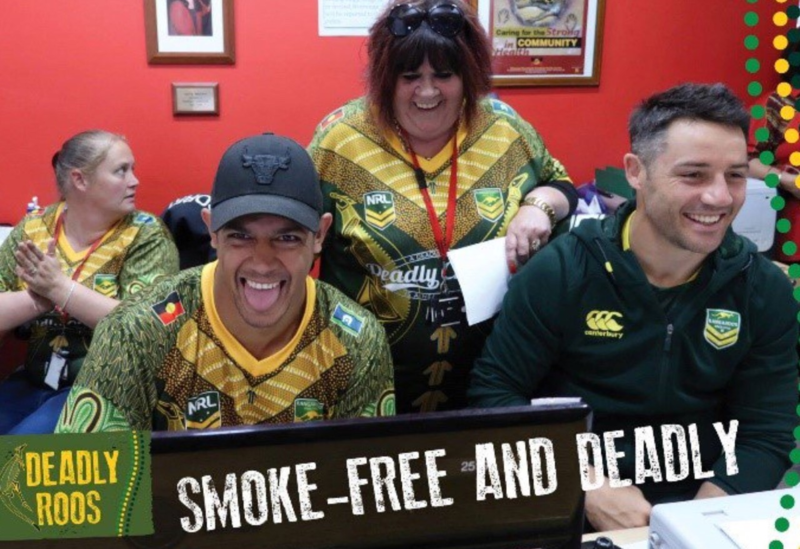 Just refer a smoker that you know and, if that smoker attends four Quit sessions, both you and the smoker are eligible for a limited edition Smoke-Free Team jersey. 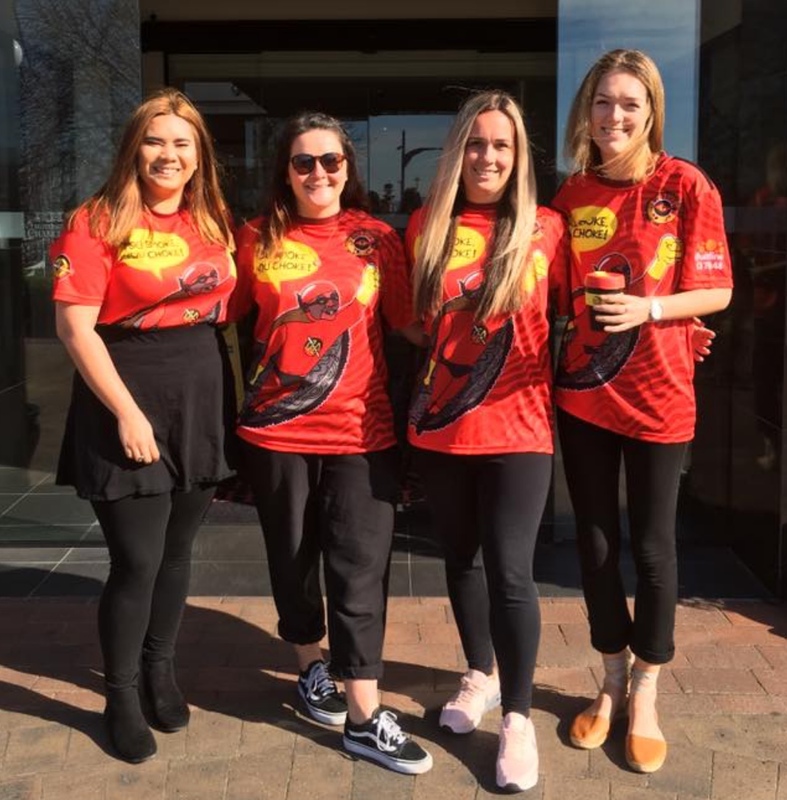 Smokers who attend all four of their quit appointments in June will go into the draw to win a personalised Smoke-Free Team jersey. To effectively reduce smoking rates in Cape York, Apunipima TIS staff have been engaging with communities to develop and implement a locally appropriate social marketing campaign to influence smoking behaviours and community readiness to address smoke-free environments. The Cape York campaign will align with a national ‘Don’t Make Smokes Your Story’ campaign. 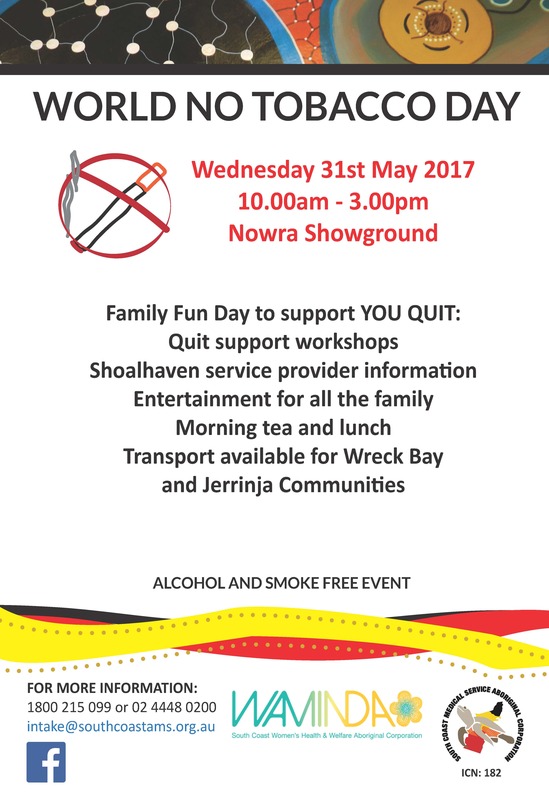 Amazing day on Cape Barren Island celebrating World No Tobacco Day today. This smoke free event was well attended by the community. 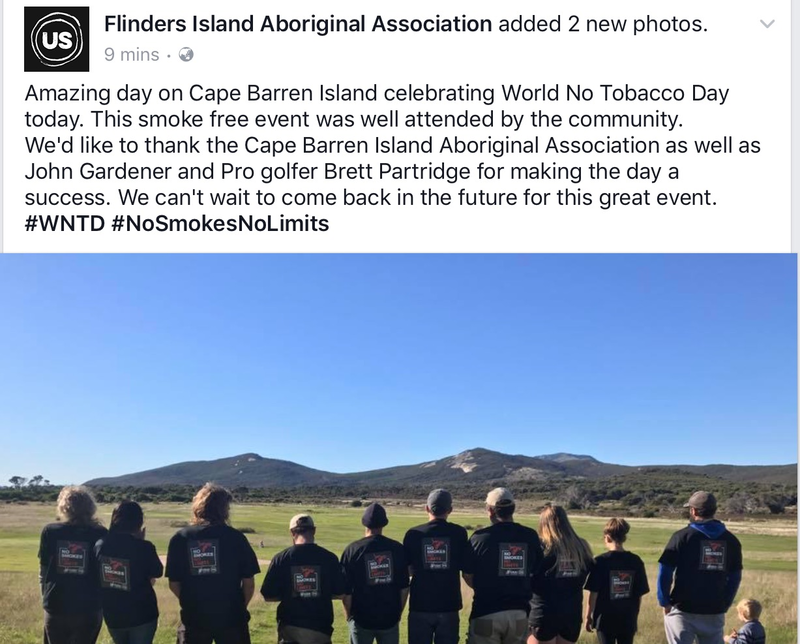 We’d like to thank the Cape Barren Island Aboriginal Association as well as John Gardener and Pro golfer Brett Partridge for making the day a success. We can’t wait to come back in the future for this great event. 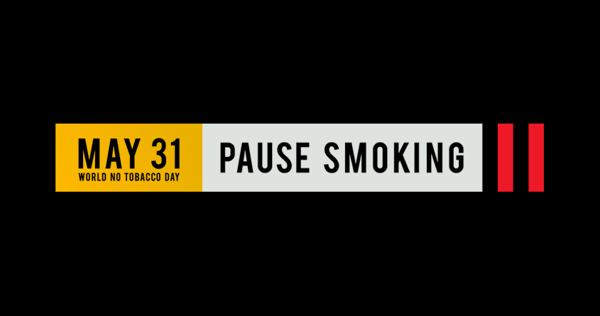 Every year, on 31 May, WHO and partners mark World No Tobacco Day (WNTD), highlighting the health and additional risks associated with tobacco use, and advocating for effective policies to reduce tobacco consumption. It will demonstrate the threats that the tobacco industry poses to the sustainable development of all countries, including the health and economic well-being of their citizens. In addition to saving lives and reducing health inequalities, comprehensive tobacco control contains the adverse environmental impact of tobacco growing, manufacturing, trade and consumption. Tobacco control can break the cycle of poverty, contribute to ending hunger, promote sustainable agriculture and economic growth, and combat climate change. Increasing taxes on tobacco products can also be used to finance universal health coverage and other development programs of the government. It is not only governments who can step up tobacco control efforts: people can contribute on an individual level to making a sustainable, tobacco-free world. People can commit to never take up tobacco products. Those who do use tobacco can quit the habit, or seek help in doing so, which will in turn protect their health as well as people exposed to second-hand smoke, including children, other family members and friends. Money not spent on tobacco can be, in turn, used for other essential uses, including the purchase of healthy food, healthcare and education. About 6 million people die from tobacco use every year, a figure that is predicted to grow to more than 8 million a year by 2030 without intensified action. Tobacco use is a threat to any person, regardless of gender, age, race, cultural or educational background. It brings suffering, disease, and death, impoverishing families and national economies. Tobacco use costs national economies enormously through increased health-care costs and decreased productivity. It worsens health inequalities and exacerbates poverty, as the poorest people spend less on essentials such as food, education and health care. Some 80% of premature deaths from tobacco occur in low- or middle-income countries, which face increased challenges to achieving their development goals. Tobacco growing requires large amounts of pesticides and fertilizers, which can be toxic and pollute water supplies. Each year, tobacco growing uses 4.3 million hectares of land, resulting in global deforestation between 2% and 4%. Tobacco manufacturing also produces over 2 million tonnes of solid waste. The WHO Framework Convention on Tobacco Control (WHO FCTC) guides the global fight against the tobacco epidemic. The WHO FCTC is an international treaty with 180 Parties (179 countries and the European Union). Today, more than half the world’s countries, representing nearly 40% of the world’s population (2.8 billion people), have implemented at least one of the WHO FCTC’s most cost-effective measures to the highest level. An increasing number of countries are creating firewalls to ward off interference from the tobacco industry in government tobacco control policy. Through increasing cigarette taxes worldwide by US$1, an extra US$190 billion could be raised for development. High tobacco taxes contribute to revenue generation for governments, reduce demand for tobacco, and offer an important revenue stream to finance development activities. Highlight the links between the use of tobacco products, tobacco control and sustainable development. Encourage countries to include tobacco control in their national responses to 2030 Sustainable Development Agenda. Support Member States and civil society to combat tobacco industry interference in political processes, in turn leading to stronger national tobacco control action. Encourage broader public and partner participation in national, regional and global efforts to develop and implement development strategies and plans and achieve goals that prioritize action on tobacco control. Demonstrate how individuals can contribute to making a sustainable, tobacco-free world, either by committing to never taking up tobacco products, or by quitting the habit. 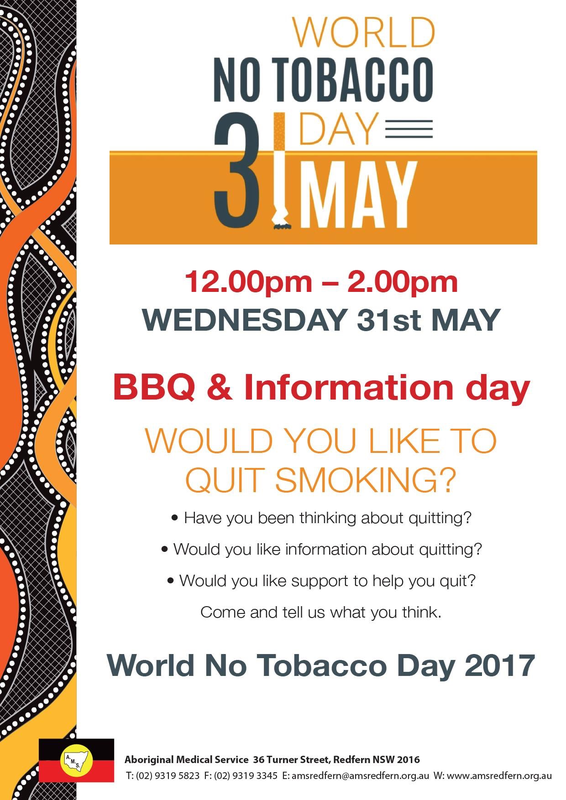 World No Tobacco Day” is coming up on Wednesday 31st May and the VAHS Healthy Lifestyle Team is hosting a morning tea event to celebrate! 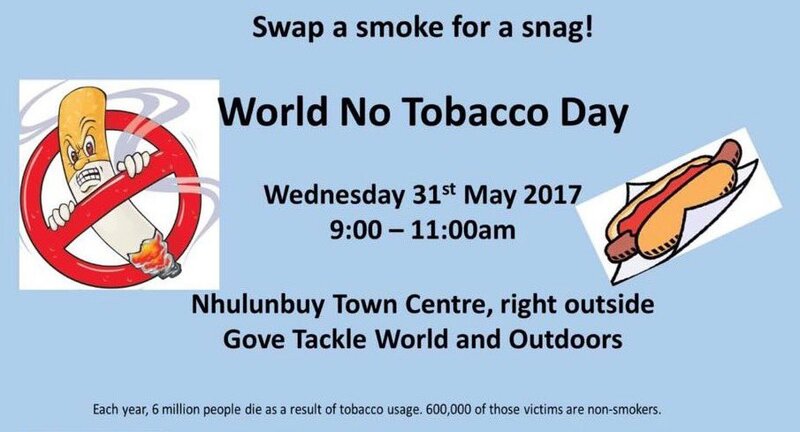 This event is a great way to spread awareness about tobacco cessation and to acknowledge the inspirational journeys that many Community members have taken to be or to stay smoke-free!! We’re lucky enough to have Aunty Rieo Ellis come along to share her story and ttalk about he steps she has taken to quit smoking and live a healthier lifestyle. For more information, please feel free to contact the VAHS Healthy Lifestyles Team on 9403 3300. On the Australian Indigenous HealthInfoNet and the Australian Indigenous Alcohol and Other Drugs Knowledge Centre we have three key sections for addressing tobacco use. 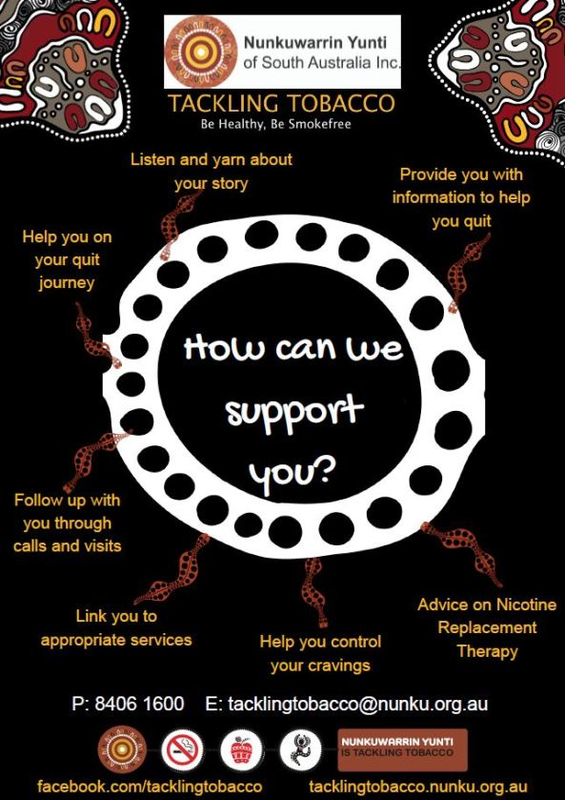 The Tackling Indigenous Smoking portal hosts information for organisations funded through the National Tackling Indigenous Smoking programme, but it will also be useful for people working in any other initiative to support Aboriginal and Torres Strait Islander people to quit smoking. 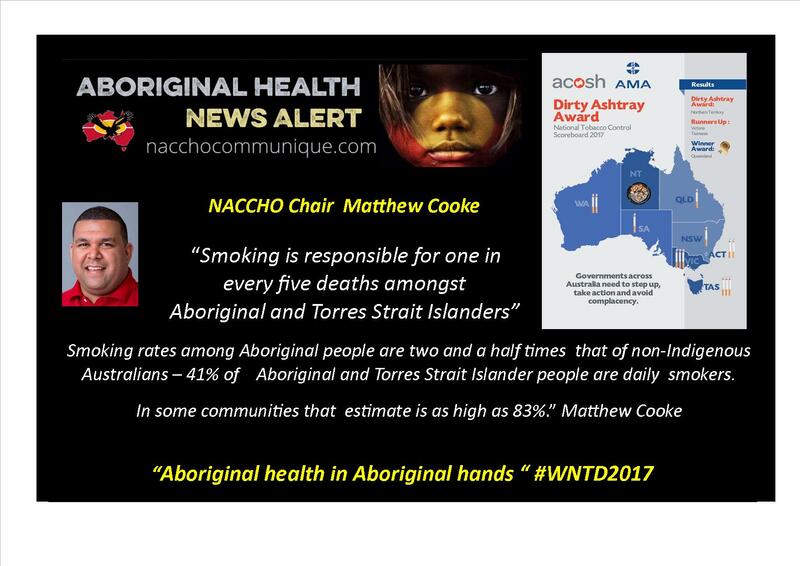 The Preventing Aboriginal and Torres Strait Islander Maternal Smoking portal provides the Indigenous women’s maternal and child health workforce and other related workers with access to quality information about smoking cessation and prevention to support better health for Aboriginal and Torres Strait Islander women, their babies and families. 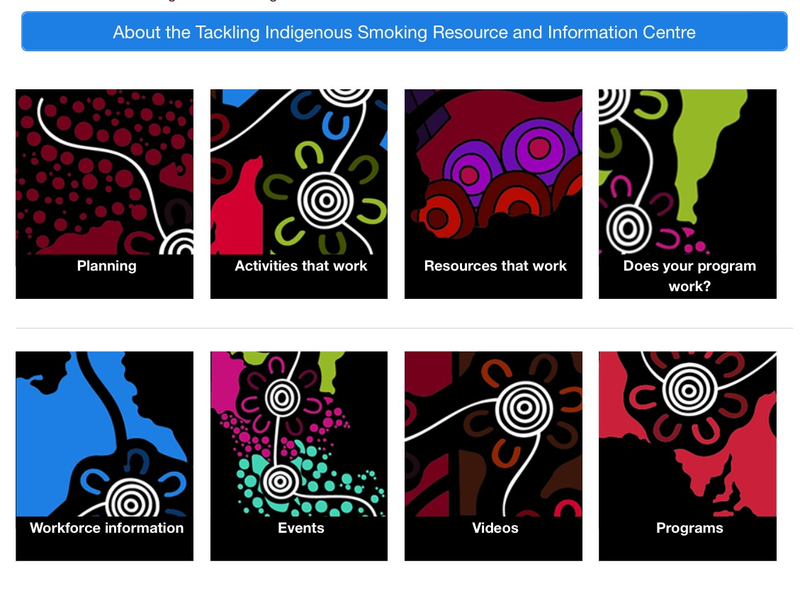 The Tobacco section on the AOD Knowledge Centre provides a comprehensive collection of information for people working, studying or interested in addressing tobacco use among Aboriginal and Torres Strait Islander people. 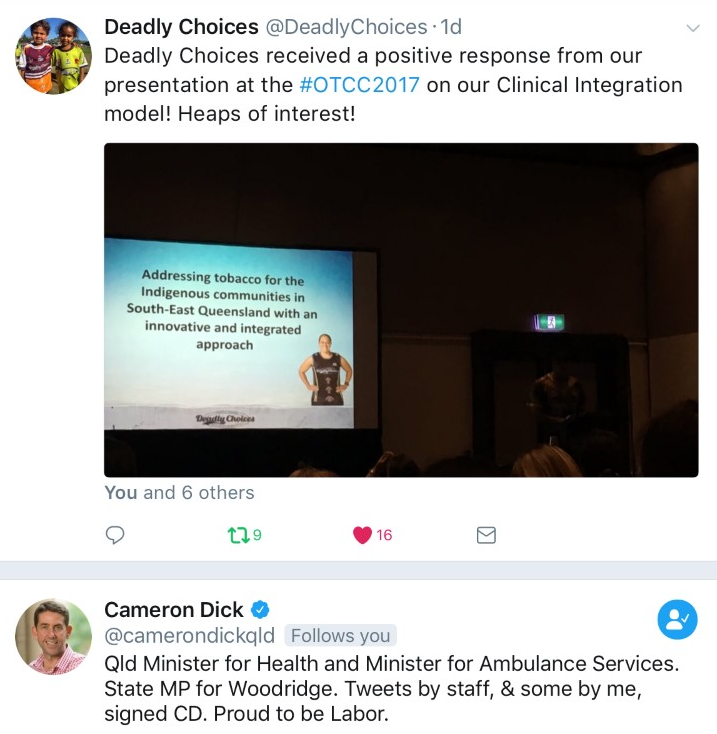 “These health services are all delivering frontline services to prevent young Indigenous people taking up smoking and to encourage existing smokers to quit. 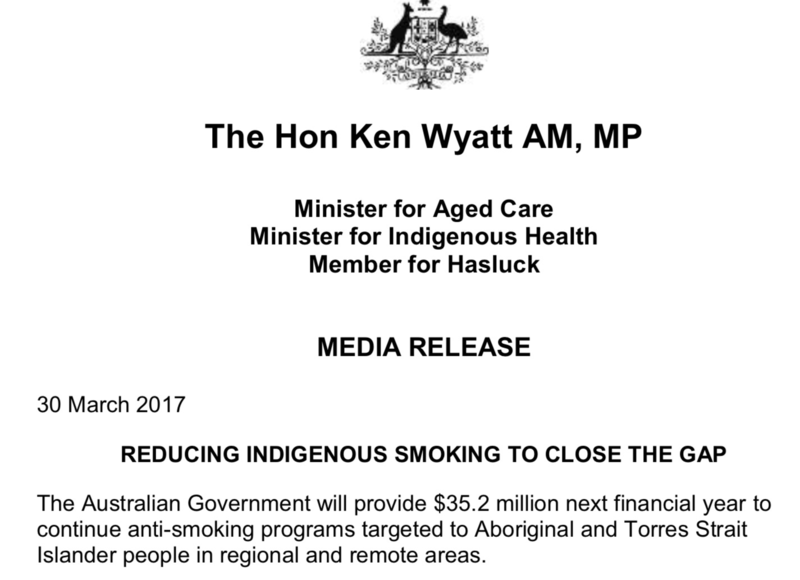 The Australian Government will provide $35.2 million next financial year to continue anti-smoking programs targeted to Aboriginal and Torres Strait Islander people in regional and remote areas. 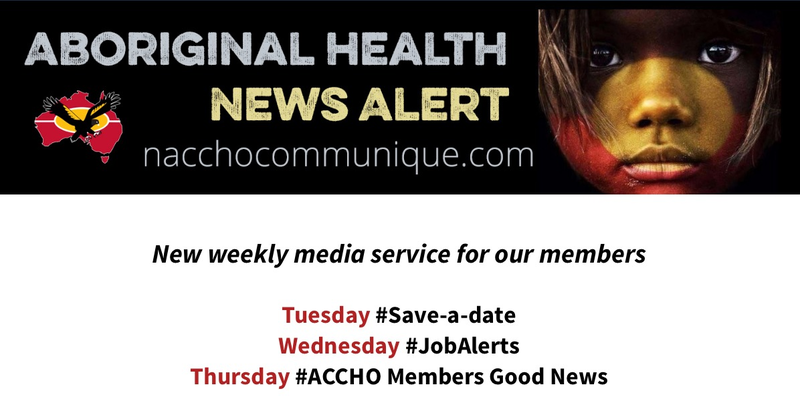 Minister for Indigenous Health, Ken Wyatt, said the Government had approved the continuation of funding to 36 Aboriginal Community ControlledHealth Services and one private health service. 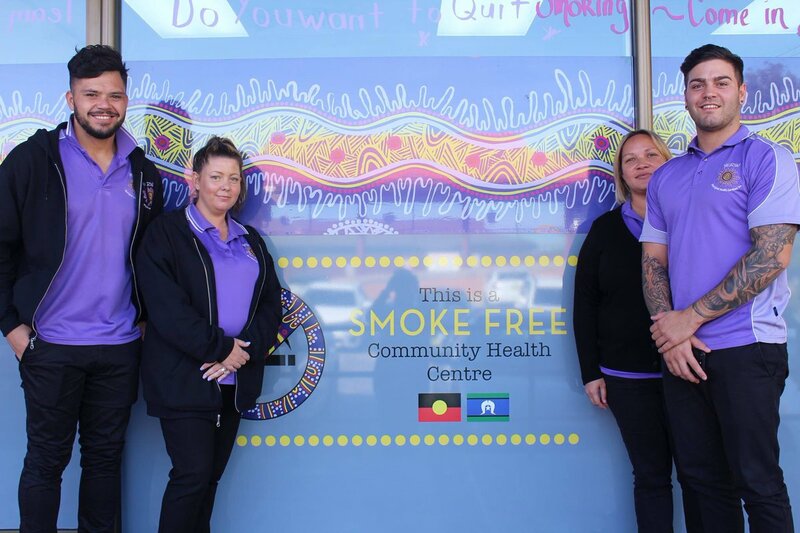 “These health services are all delivering frontline services to prevent young Indigenous people taking up smoking and to encourage existing smokers to quit,” . “Reducing smoking rates is central to the Government’s efforts to close the gap in life expectancy, but requires a consistent, long-term commitment. 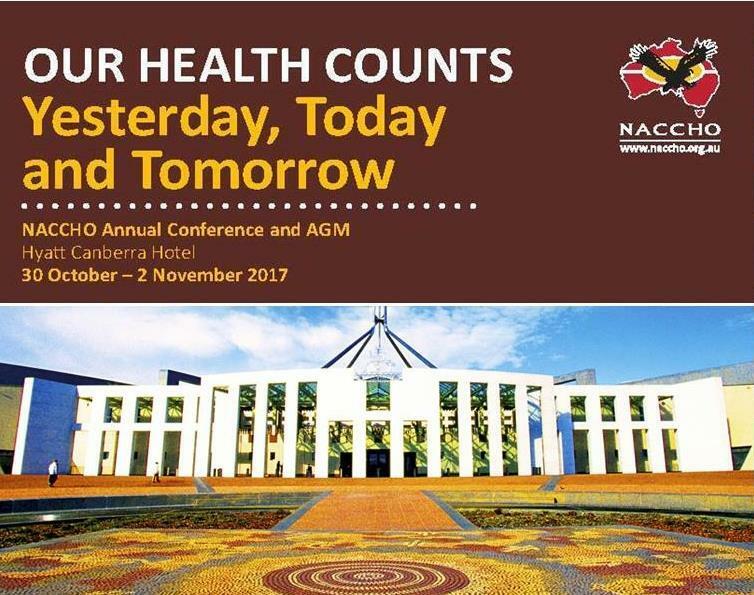 Under the Council of Australian Governments (COAG) National Healthcare Agreement, all governments have committed to halving the 2008 adult daily smoking rate among Indigenous Australians, of 44.8 per cent, by 2018. 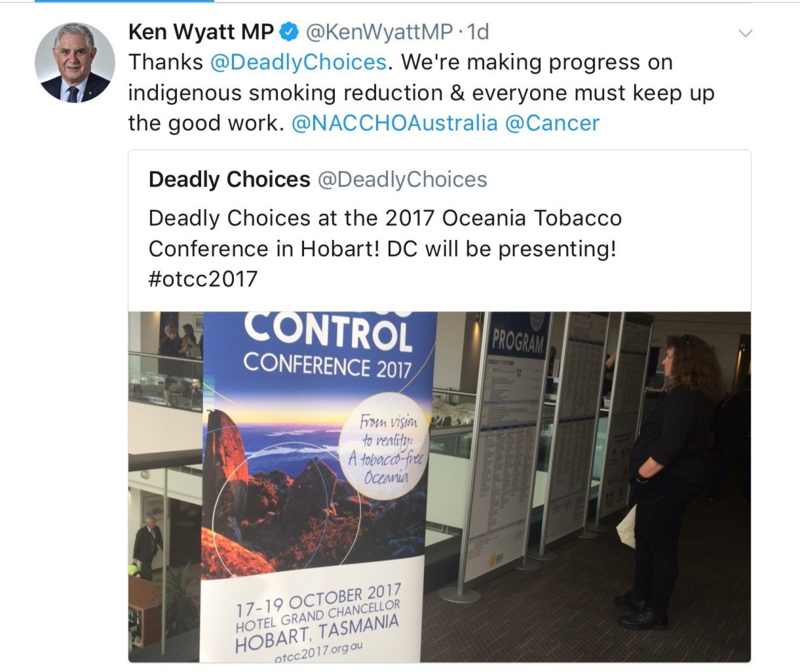 “The rate of smoking among Aboriginal and Torres Strait Islander people is still far higher than among other Australians and is damaging their health in many ways,” Minister Wyatt said. “It’s unlikely now that we will meet the COAG target, but we are making progress. 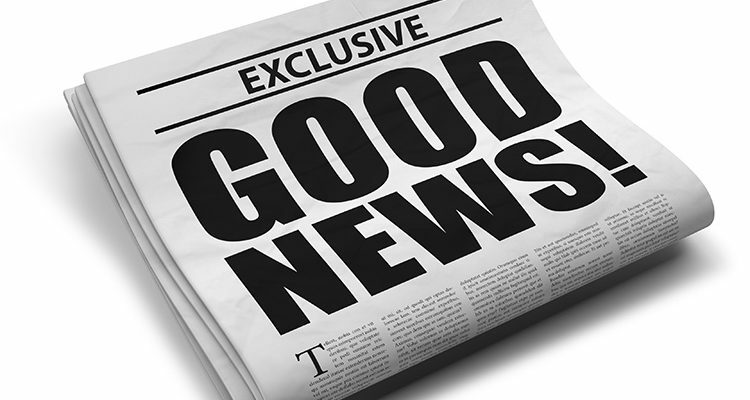 Continued funding for the 37 health services follows a preliminary evaluation of the Tackling Indigenous Smoking program which found that it was operating effectively and using proven approaches to changing smoking behaviour.